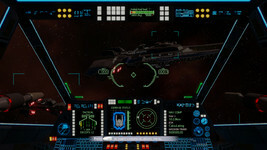 GameSpot has posted a new video on the state of the space sim industry after years of relative hibernation. Star Citizen and Elite: Dangerous are previewed in depth, and both are compared to X-Wing, Wing Commander and Privateer throughout. 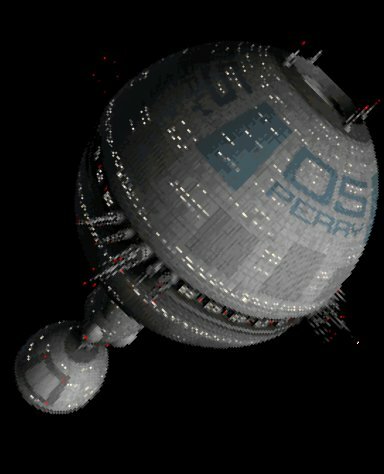 It's good to still see the WC series credited as the king of '90s space sims... and someday it'll be on top again for a new generation of Wingnuts! We take an early look at Star Citizen and Elite: Dangerous, two excellent space sims that show the genre didn't die when the 90s ended: it just went into stasis. Help Extend Orchestral WC Album to 45 Minutes!? 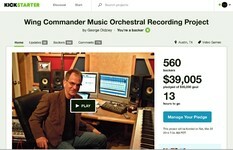 George Oldziey's supplemental Wing Commander music album campaign is wrapping up its first week. With an additional $14,000 over what was raised in March, the current plans for 30 minutes of live orchestration can be upped to 45! Things are off to a slow start, but there are still a few weeks to go. George has also streamlined the reward structure to clarify that backers who've pledged $20 or more will get all of the music recorded in Prague. If you previously opted for a digital download during the original Kickstarter campaign, autographed physical copies of the physical album are also available starting at $100. 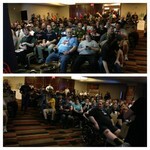 Just pledge the difference between your original KS contribution and the desired level to stack your contributions. Obviously this costs more than a typical album, but in this case you're actually making making this project a reality - and increasing the album length for everyone! These are sure to be special Wingnut collectibles in the years to come. Contributions can be made here. Greetings supporters! So far we're off to kind of a slow start with this supplemental campaign. I am, however, heartened by the fact that we do indeed have enough funds for 30 minutes of glorious, orchestral Wing Commander music! I'm in the process of going through all the old midi files to see what will be included on the CD. Turns out the WC CIC website is a great resource, because I didn't have a lot of them! I wanted to mention one rewards update. Just to avoid any confusion, I've decided that ANYONE with a donation of $20 or more, both on the Kickstarter campaign and this one, will have access to a digital download of ALL of the music that will be on the CD. I know that many of you increased your pledges from $20 to $50 based on having access to more of the music than the $20 level, and to you I owe a sincere and heartfelt thanks for helping to make this dream come true. But this will avoid any confusion when the project is finished and ready to send to everyone. I would still LOVE to reach this new goal so that ALL of the music on the CD and download will be recorded with the orchestra. I think we can still do it! There's plenty of time! Wing Commander Mod for Doom!? Oceankhayne spotted a fun project for the ZDoom port of the classic first person shooter. 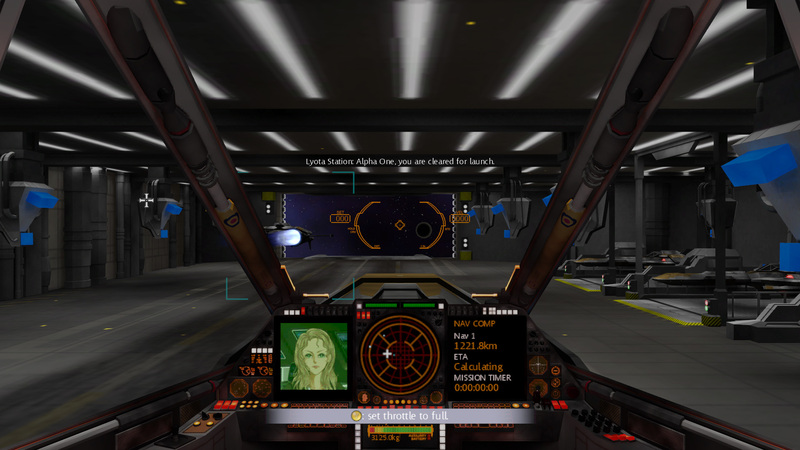 A modder named WARCHILD_89 has overlayed a Wing Commander 1 interface and rough gameplay mechanics to simulate spaceflight. By clearing the floor and tweaking the skybox, a simple hybrid of the two games is possible. Energy weapons fired from a Hornet HUD are working now, and the player will be able to go after Doom enemies that behave somewhat like hostile ships. 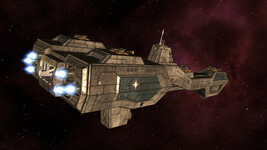 The creator has plans to create a space combat mod to expand on this. It'll be interesting to see if he can actually pull it off! You can follow the project here. 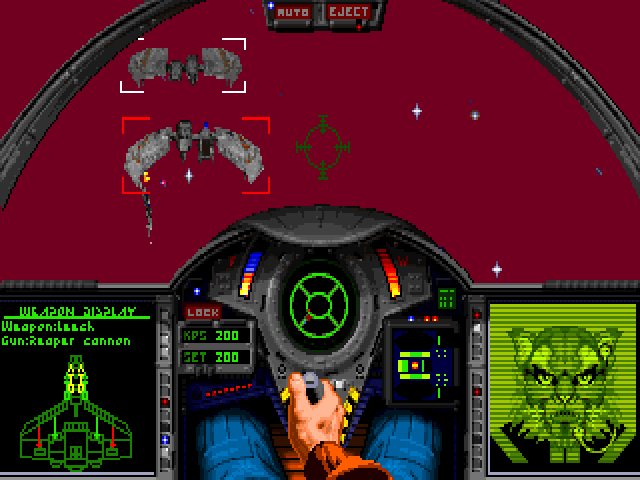 I always loved playing Wing Commander on the Amiga 1200 when I was a little boy and today I think: "WOW, this game does not seem to be technically too different from ZDoom, so why not mix it together?" I was very sad to read on the internet, that EA Games did never keep the source code (officially it has got lost when Origin Interactive quit its business :( ) so instead of getting the source code by decoding the exe, why not rather redo the game from scratch? I use a selfmade little script to avoid the player from drowning and the Fly cheat to make the flight more realistic and to avoid the "weapon" to bob around, I can already fire Rockets and Plasma balls towards cacodemons, which I think could be recoded to act like enemy spaceships. 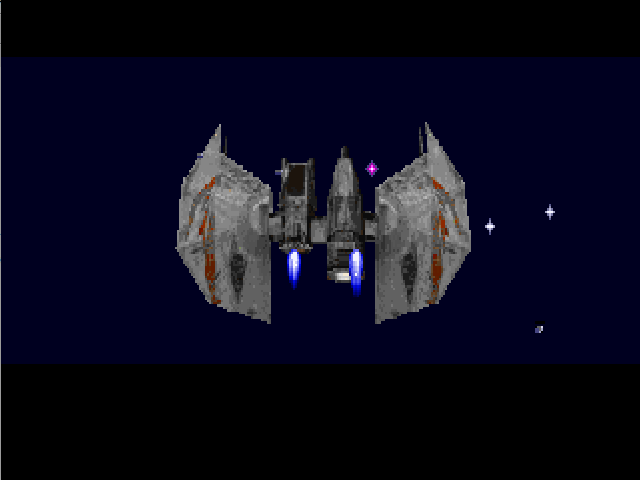 (Original sprites from Wing Commander can be found on the internet). 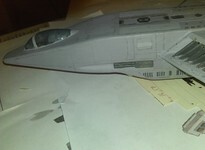 This Project will be part of my Doom Nemesis Project. Doom Nemesis will start this way: After surviving Doom and Doom 2, our Doomguy gets found on earth by a huge spaceship controlled by an alliance of former UAC Members and the remains of earths army. 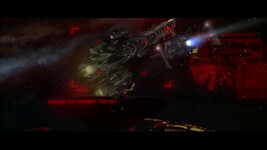 Some flying Monsters are able to survive in space and approach the spaceship. 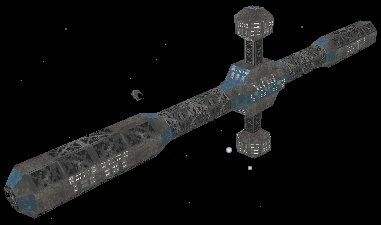 You will have to fight inside the ship, repair and defend the ship from the outside and everything will end up in a big space combat before getting crushed and falling all the way down back to earth. Wing Commander Academy Translated into Arabic!? 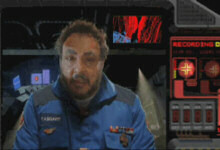 AD found a very odd translation of the Wing Commander Academy television series being advertised on YouTube. 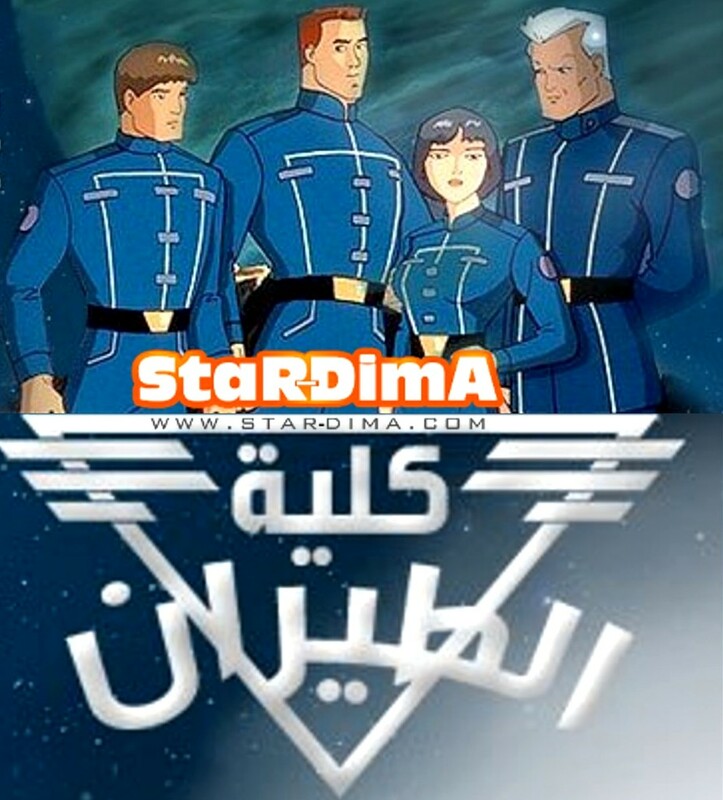 "Star Dima" appears to have converted the show into Arabic - Wing Commander logo and all. Cadet Blair has been renamed 'Mazen', Maniac is 'Ravi' and Archer is called 'Khawla'. We wouldn't normally link to what looks like some kind of sketchy pirate site, but this is too bizarre not to share. If your antivirus program is up to date, check out the Google Translated version here. If you haven't picked up an official copy of the show on DVD yet, we highly recommend it! Amazon currently carries the set for just $11.99, which is a phenomenal deal. There seems to be a 1-2 week backorder at the moment, so your order now would help confirm there's still demand out there! This follow-up series of seminars animation outstanding "Aviation College," through Staradama. Subject students to the organization's rules for study and life altogether, and enter competitions training exciting; aim of developing their fighting skills and rehabilitation to fight real battles in the face of space pirates villains. 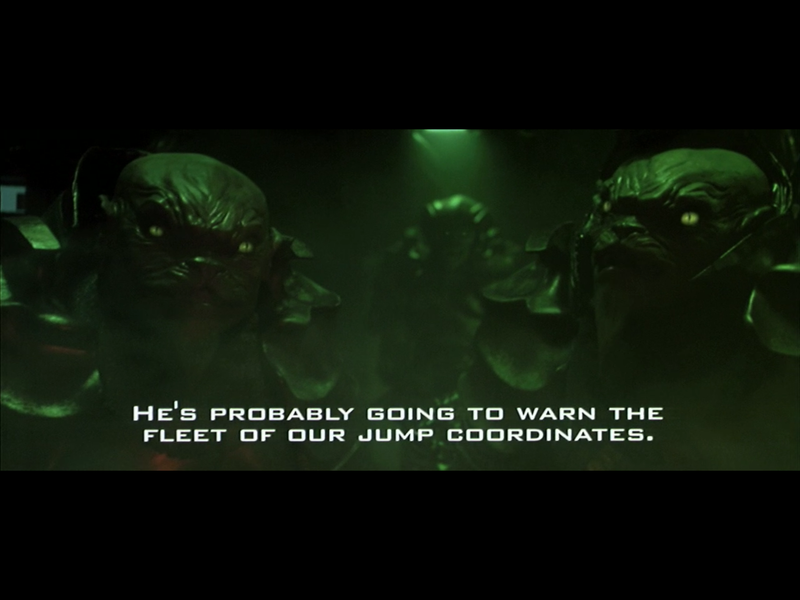 spite of the atmosphere of competition and the challenge that brings students during the exercises, but they are working as one team, when assigned to run in real battles in the face of space pirates, whom it becomes worthy of leadership? Will qualify their faculty to defeat the wicked pirate? Explored it yourself, follow through the series of seminars and Action Adventure "Aviation College," through Staradama; where the real fun to watch. WCX caught an interesting editorial piece on the prevalance of feline enemies in science fiction. Our Enemies: Space Tigers talks about some of the evolutionary context and how this affects humanity today. 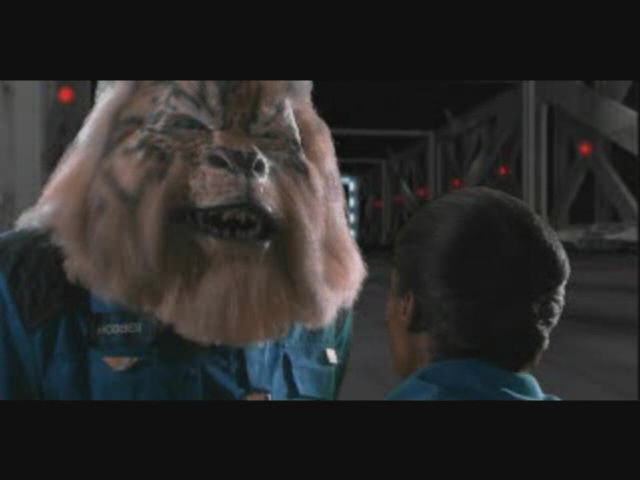 Many different fictional examples are discussed, and the Kilrathi from Wing Commander get their own section. 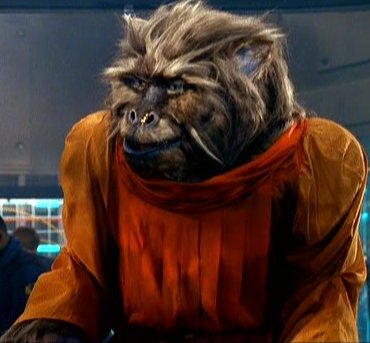 There's a few quirky mentions - the core of Wing Commander history covers multiple decades, so it's a little weird for someone to dig up a milestone date in the timeline and then conclude the Kilrathi war lasted just 11 years. It's good to see the kats get top billing throughout the peice though! You can find the full article here. In the Wing Commander universe, the main foe of the Terran Confederation is the Empire of Kilrah, composed of aggressive space tigers called the Kilrathi. 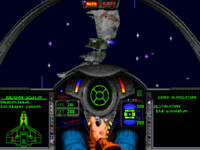 Since the original computer space fighter simulator dropped in 1990, the Man/Kilrathi War was the focus of the series. 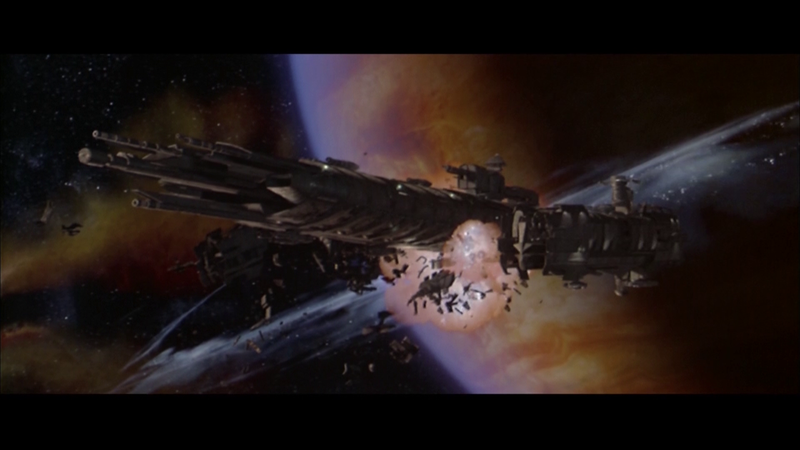 According to the back story, on March 15th, 2629, an Terran Confederation exploration is destroyed by the Kilrathi. All attempts at communication are refused, and two years of raids by the Kilrathi are answered by a full-scale war. For 11 years, the Empire and Confederation engaged in a bloody war that ended when the homeworld of the kitties was destroyed by Christopher Blair. After the war, the various clans of the Kilrathi organized themselves, and attempted to keep the tense peace with the Terrans. CIC Staffer and Star Citizen community manager Ben Lesnick recently picked up an external memory cart for his Sega CD (aka Mega-CD) gaming console. Why is this news? Because the Sega CD port of Wing Commander has a cool visual effect when you have this add-on plugged in. 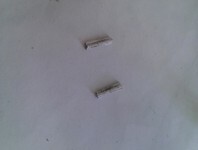 Shaped like a Mega Drive cartridge, players could transfer their savegames to or from the memory cart. 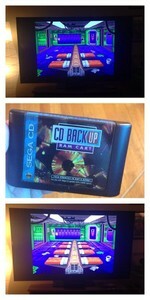 A useful feature, because the Sega CD only came with 8 kilobytes of storage capacity for savegames. 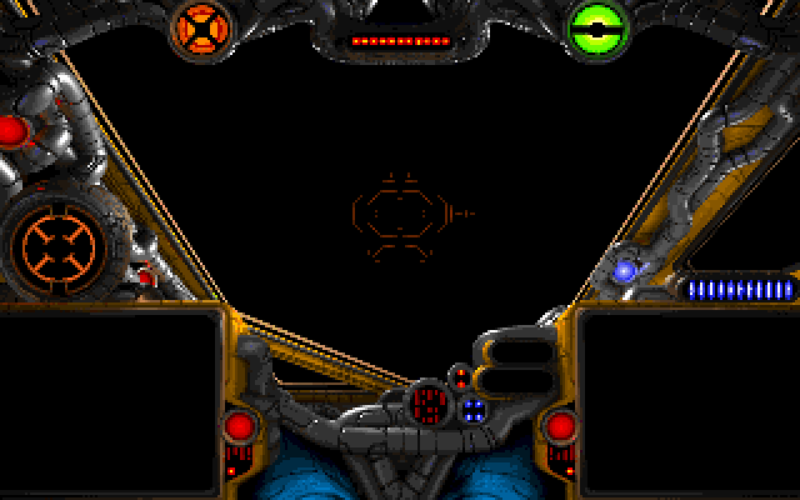 In supporting games, like Wing Commander, the player could simply save their progress directly onto the cart's ample 128 kilobytes. In the Tiger's Claw barracks, all 8 bunks become available when you have it plugged in! Check out LOAF's pictures below to see the difference. 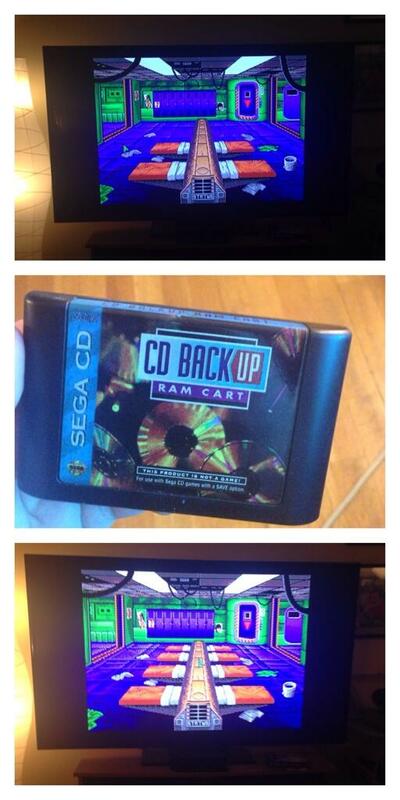 The Sega CD Backup RAM Cart is a utility that holds 16 times more game information memory than the internal RAM memory of the Sega CD (with its storage size being 1 Mbit total), which is useful for long-playing games and for not having to start over at the beginning every time the player(s) starts a game. It retailed for $60 U. S. upon initial release. Before initial use, the Cart has to be formatted, although this is instantaneous with just a press of a button on the Genesis controller during the menu screen, no waiting or any further actions would need to be taken by the user after that. The unit could be formatted again if the user wished, but any game information stored on the Cart would be erased. The unit plugs into the Sega Genesis cartridge slot (as it resembles a Genesis cart) before the power of the Genesis and the Sega CD is turned on in order for it to be able to start saving game information. At the absolute maximum, the Cart can hold memory of up to 10 games, as opposed to the Sega CD's capacity of only four. However, some games require multiple save slots, taking up more room on the Cart than others. The Cart doesn't have many other functions or actions to be taken other than storing game information and formatting the unit. On the onscreen menu, data from the Cart can be viewed, erased, and/or copied to the internal Sega CD memory, or vice versa. Mike Vanderhoek tipped us off about a new addition to the Netflix library in the UK. 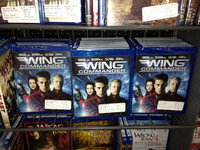 Wing Commander is now available for streaming in HD. It doesn't appear to be available in every region yet, although there is fairly wide availability on streaming-for-purchase services such as iTunes, Amazon or VUDU. Also, if you missed the film on Blu-ray last year, Amazon currently lists it for just $9.17! Earth's only hope against the vicious Kilrathi Empire are two young fighter pilots, who must stop the enemy and warn Earth of an impending attack. There's a new space combat simulator that's made its way onto the PC. 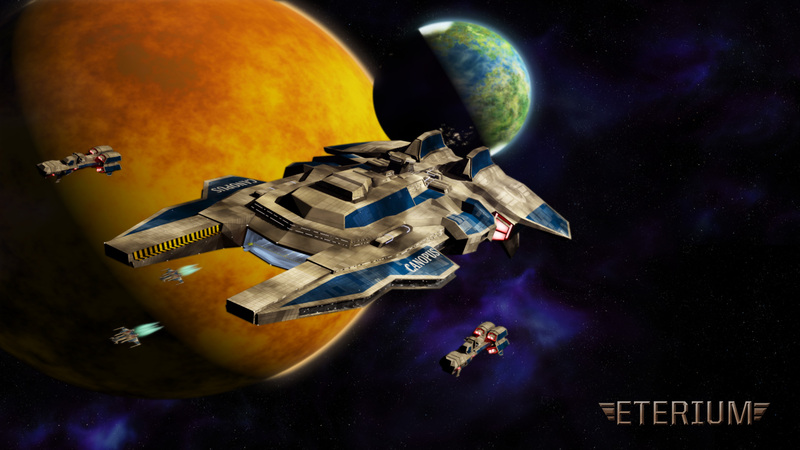 Eterium was released on April 15 through Steam and Desura after several years in development by Wingnut Andrew Luby and team. The game gives off a strong WC vibe, as is evident in the screenshots below. 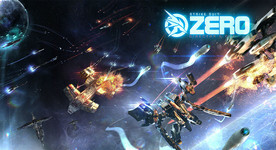 Videos and a demo are available at the game's website for those who want to take a closer look. It's otherwise available as a digital purchase for $20. A 1.0.1 patch is already in work, and a number of features such as keyboard flight control and other interface device tweaks will be included based on user feedback. It's great to see a developer that's responsive to its fans! 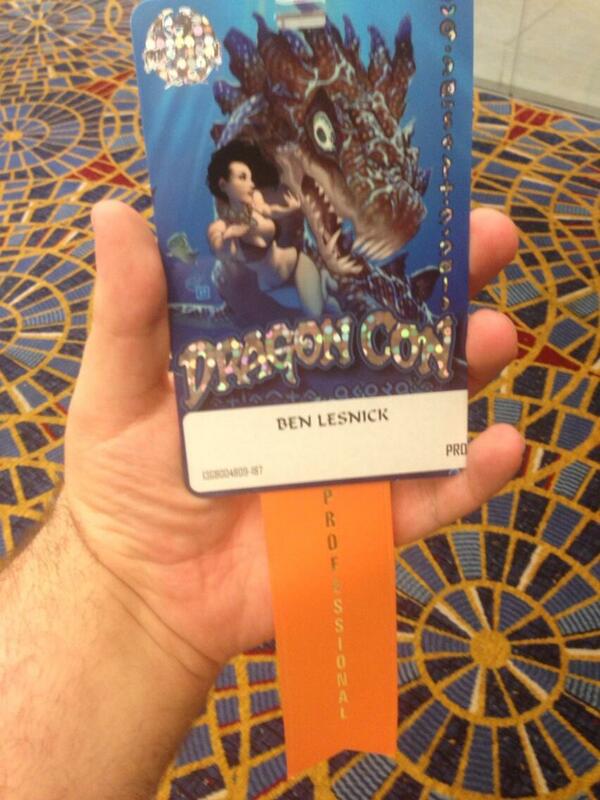 You can also find a thorough review written by fellow Wingnut centaurianmudpig here. Internet Relay Chat or IRC may date back to the late 1980s, but it's still a great way to interact with people. 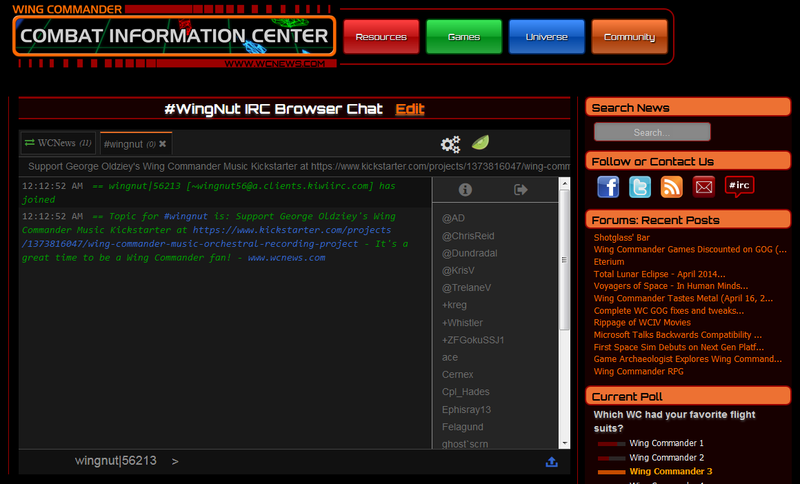 You can chat with other Wing Commander fans in the #Wingnut channel on the CIC network (irc.wcnews.com). While this used to require a dedicated IRC program installed on your computer, it has never been easier to connect. 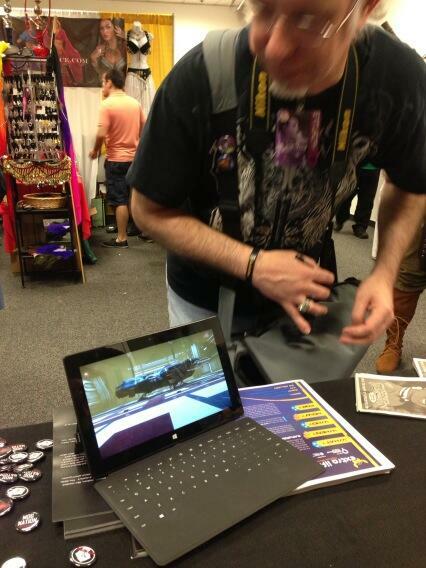 You can even join in from your smartphone or tablet. It's hard to keep up with all the different clients, but below are a few options for each platform. Let us know in the comments if you know of a cool alternative! The Thunderbird e-mail application supports various real-time chat protocols out of the box. 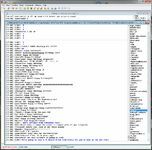 Here is a tutorial for configuring an IRC session. 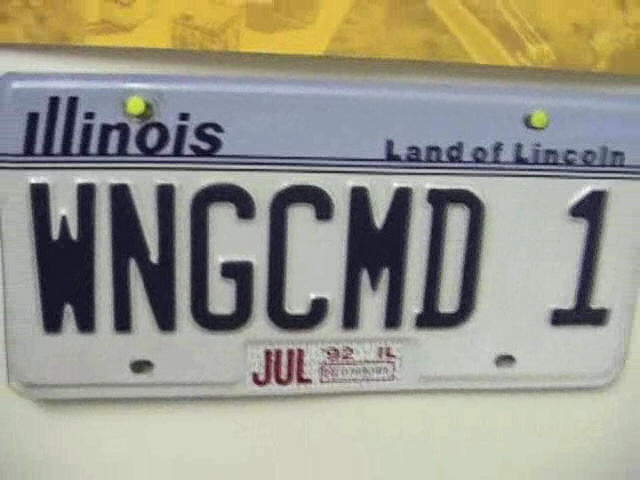 Our server is located at irc.wcnews.com. Put a username of your choice and don't worry about the password. Once you are connected, join the #wingnut channel. Chrome users can install the CIRC browser extension. Dedicated IRC applications are still the most powerful. Once you are more familiar with IRC, you may want to upgrade to one of these clients. 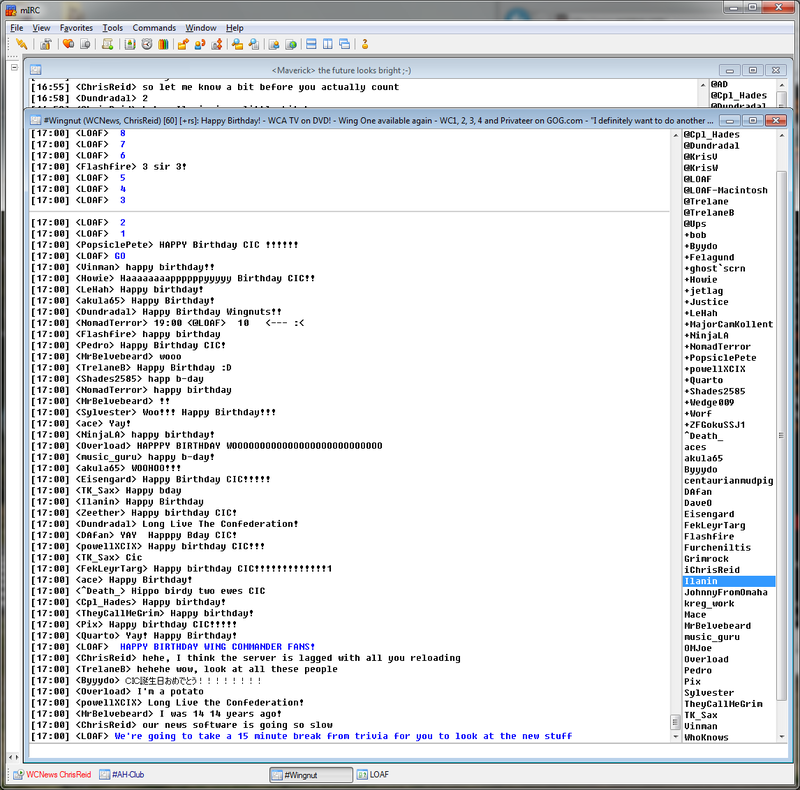 mIRC or Hexchat for Windows, LimeChat or ircle for Mac and XChat for Linux are just a few options for PC. Tablet and phone users can try AndroIRC for Android, IRC Free for Windows Phone and Linkinus or Colloquy for iOS. WC Album on Track for October Recording; Supplemental Campaign Announced! 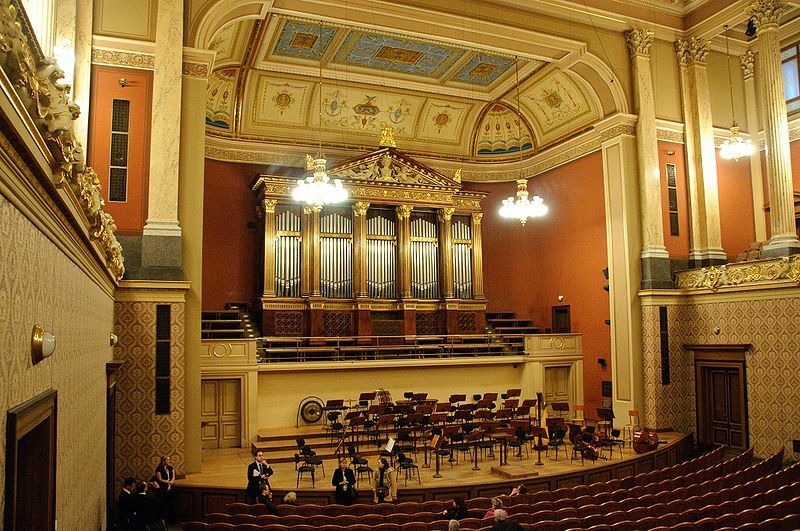 Since the conclusion of his successful Kickstarter last month, former Origin composer George Oldziey has been in negotiations with symphonies all over the world to find the best musicians and make the most efficient use of the funds collected. 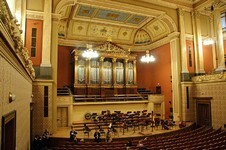 He's selected Prague's prestigious Dvorak Hall with the Czech Philharmonic Orchestra to record the album! Since the Kickstarter basic goal was exceeded, he's used the current proceeds to plan about 30 minutes of finished recording with the orchestra. 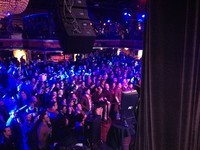 Although George had a backup plan to fill the remainder of the album with digital tracks, fans have been asking how to maximize the amount of live music. The next step is a supplemental campaign to expand the scope of the album. With an additional $14,000, George can reach the full 45 minute mark! This is good news for both past pledgers and people who missed the original drive, and it's more than $10,000 less than the original estimates for the full track list. In order to provide a broader range of options this time around, the additional funds are being collected via Fundrazr. Unlike with Kickstarter, Paypal is now accepted and numerous countries/currencies are supported. People can click on "buy as a guest" during checkout to pay with just a simple credit or debit card as well. People who pledged at a certain level last month are also welcome to add an additional pledge in order to reach a higher combined tier if they'd like. 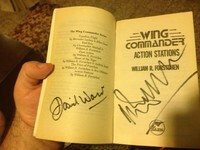 If you know a Wing Commander fan who missed this earlier, please help spread the word! Add to the supplemental campaign here. With the current amount raised from the initial campaign, minus the percentage that Amazon and Kickstarter received, we have enough funds to record 30 minutes of music with the orchestra and choir. So, we can settle for having 30 minutes of orchestral music with 15 minutes of MIDI music, OR have an entire CD of 45 minutes of music with the orchestra by raising another $14,000 through this FundRazr campaign! My preference is definitely for the latter! I will honor all the same rewards from the original campaign that are based on the various pledge levels! And if for some reason we don't reach our goal but have accumulated more funds I will put that money towards having even more sampled based music into the product! 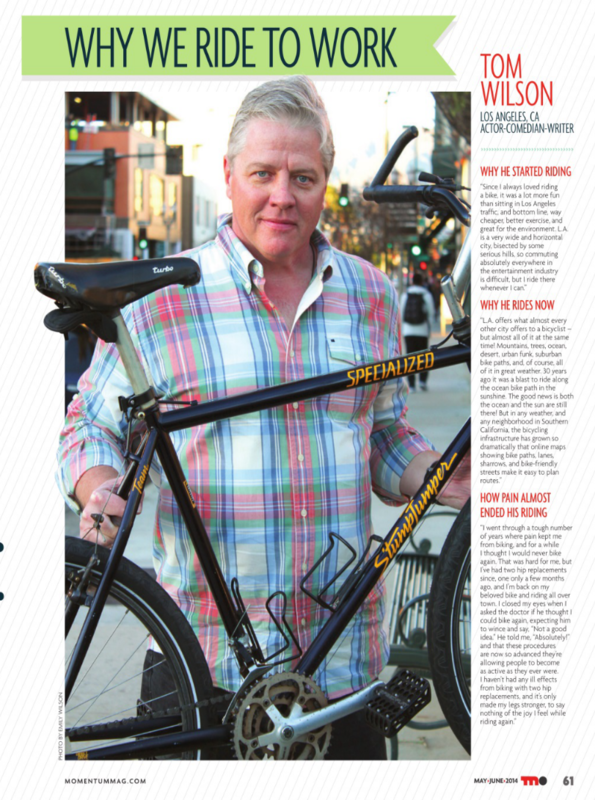 Tom Wilson was recently spotted in the May/June 2014 issue of Momentum Magazine. It turns out that when the Maniac isn't test piloting a Morningstar, his go-to mode of transport is the trusty bicycle. Tom explains how biking around Los Angeles is feasible, and he also reveals how he's bounced back from two hip replacements. It's good to see he's keeping busy! If you'd like to check him out in person, his next show is at the ACES Comedy Club in Murrieta, California on May 16 & 17. 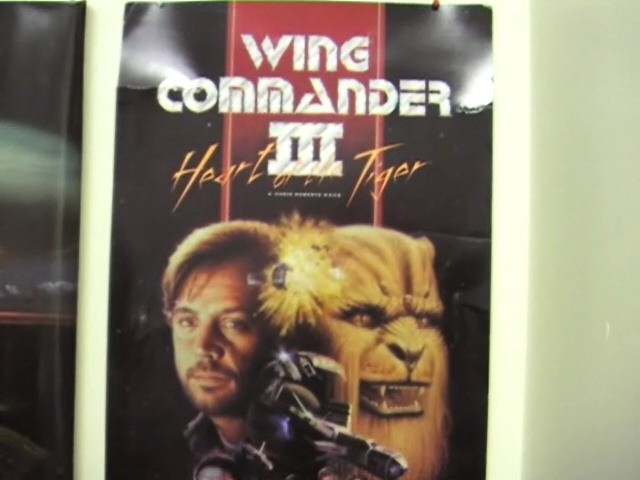 Jérôme Brenner tipped us off about a profile of Wing Commander 4 in the the French OldiesGamesTV video channel. It's a brief collage of WC4 cutscenes that most Wingnuts are quite familiar with, but the French dubbing is interesting to watch. Over the years we've heard from many fans who learned English so that they could hear the original game audio, but now it's English speakers' turn for a taste of the reverse. This is inherent in any video dub, but it sure is weird to watch our familiar actors' mouths move and hear a different voice come out! 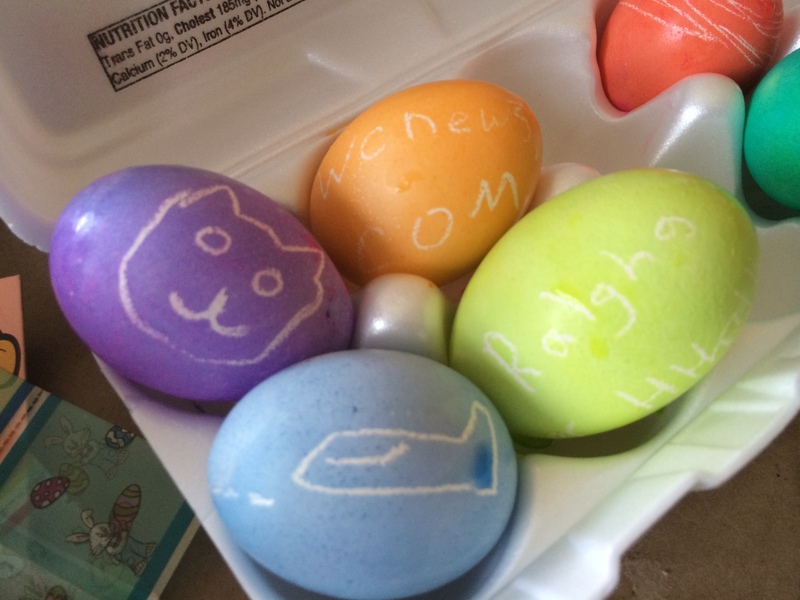 The CIC themed Easter eggs are back! Have a good one, folks. Special bonus: Roberts Space Industries' Sandi Gardiner at Lord British's haunted egg hunt at Lake Austin earlier today. Good Old Games is running a big sale this weekend on its Electronic Arts catalog of games, including the Ultima and Wing Commander franchises! 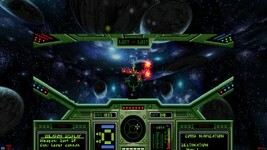 This also includes Strike Commander, Crusader and many other familiar titles. There hasn't been a discount like this since their holiday sale in December, and 60% off is nothing to sneeze at. Each of the individual game packs are $2.39, which means the entire DOS/Windows Wing Commander experience is available for just $19! Even if you already own the series, this makes a great gift for someone else. You can find the complete list of games on sale here. Richard Gariott's Ultima remains an icon of computer RPGs, and many gamers consider Ultima 7 to be the best entry in the entire series. Our Complete Edition includes all four chapters of the game--The Black Gate, Forge of Virtue, Serpent Isle and The Silver Seed--in one handy DRM-free package. Become the virtuous Avatar, the savior of Britannia, to discover the origin of many strange occurrences spreading across the land and to stop the mysterious malicious entity, known as the Guardian, from pushing the world into its doom. With countless hours of deep and satisfying gameplay, this one is a must for all the RPG fans! There's no reason to stop at lucky number seven, though. The whole Ultima series--including the groundbreaking 3D dungeon crawler: Ultima Underworld 1+2--is on promo, so you can experience every single adventure of the Avatar (formerly know as "the Stranger") 60% off! What Ultima is to RPGs, the Wing Commander series is to the space sim genre. 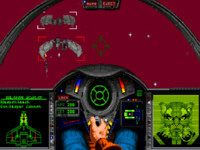 Follow the story of the war between Terrans and the feline menace Kilrathi in Wing Commander 1+2 and Wing Commander 3: Heart of Tiger, then once the world is over and a shaky allience is formed with the cat-like aliens, face new enemies threatening the Confederation in Wing Commander 4: The Price of Freedom. The 3rd and 4th installments of the series use full motion video cutscenes to tell its elaborate stories and feature big names such as Mark Hamill, Malcolm MacDowell, and John Rhys-Davies as the Wing Commander universe prominent characters. 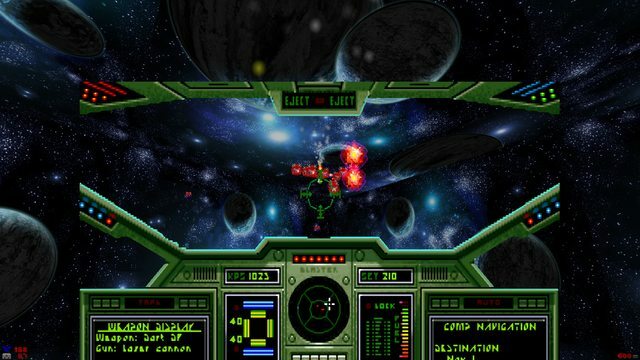 You can also choose your own fate and pursue your goals as a mercenary, a trader, or even a space pirate in the series' popular open-ended spin-off, Wing Commander: Privateer. 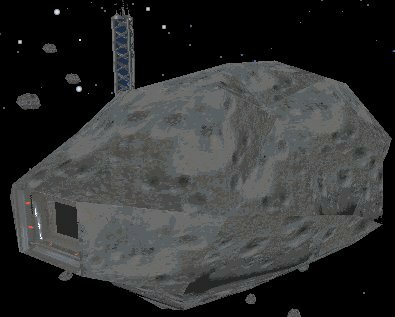 In between recording Wing Commander long play videos, centaurianmudpig has been dabbling in 3D modelling with the open source Blender program. 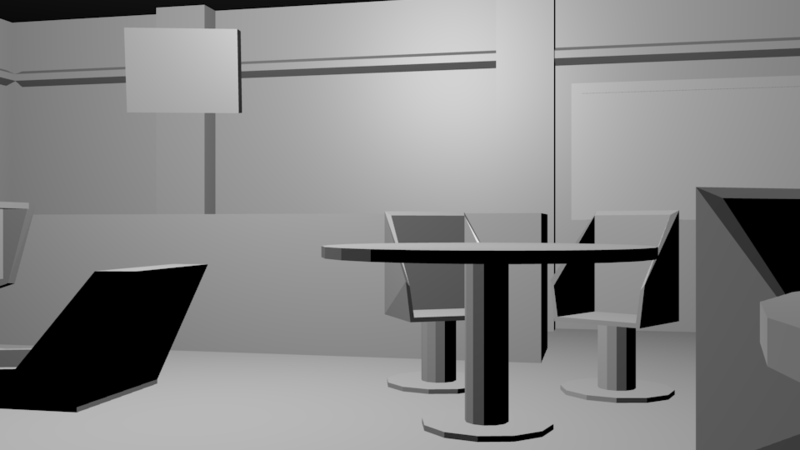 His very early version of the Tiger's Claw rec room is still rough around the edges (and missing its barkeep) but already feels familiar. If you have experience with Blender and have any comments or helpful pointers on recreating the classic look, mudpig would love to hear from you on the CIC forums. This isn't the first time someone has taken a shot at recreating Shotglass' watering hole in 3D. 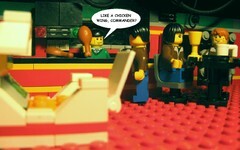 Check out Michelle D's modelling efforts and Marcus' gorgeous Lego model from a few years ago. Whiplash's Hellcat model needs one more thing before it's ready for battle: guns! He's put together a step-by-step walkthrough of how the side mounts came together, and the results look very much like their in-game equivalent. 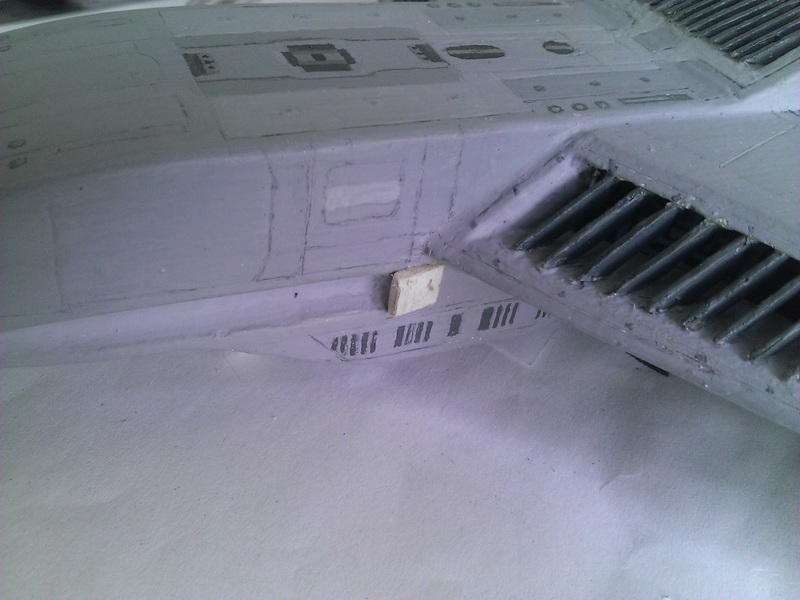 The forward cannons still need to be built, but the ship is very nearly finished! The WC4 Hellcat has two particle cannons in the side gunports, and two ion cannons in the underslung gun pod. I started off with the particles, since there are plenty of good in-game shots of them. I considered using the gun pictured in the manual, but eventually decided to stick with the ingame version for consistency. 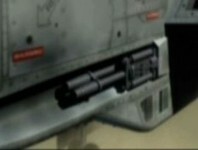 Besides, I find the triple-barrel configuration quite cool and menacing. See comparison below. So, here's how to build a particle cannon. 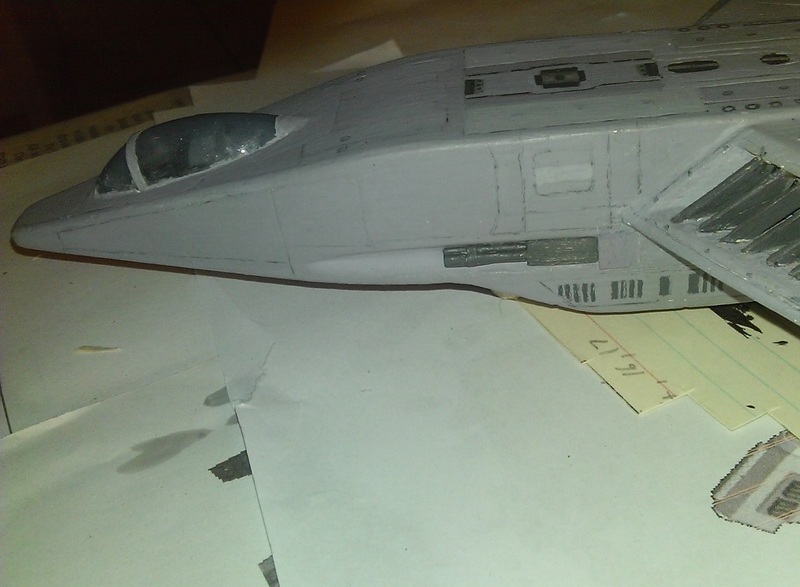 2) Made a simple rectangular cut-out of the main body of the gun. 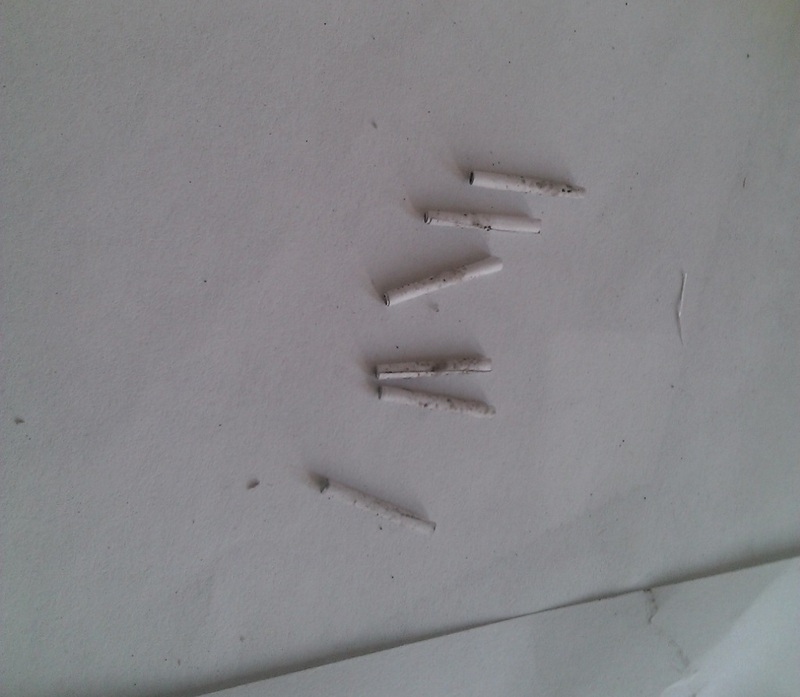 3) Both of the above pieces painted. 6) Then glue the barrels together. 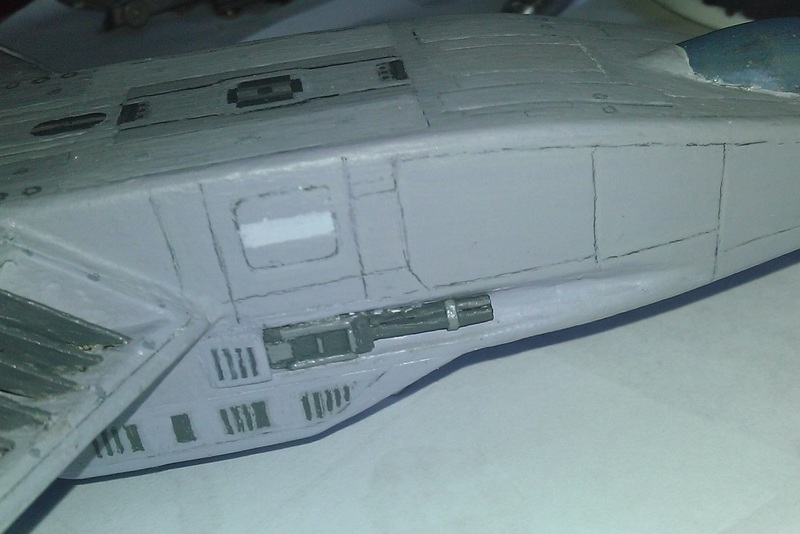 9) Final shape of the gun complete and painted. 10) The final product: I added some lighter grey to bring out the detail. All done! Now for the ion cannons, which I'll show you next time. 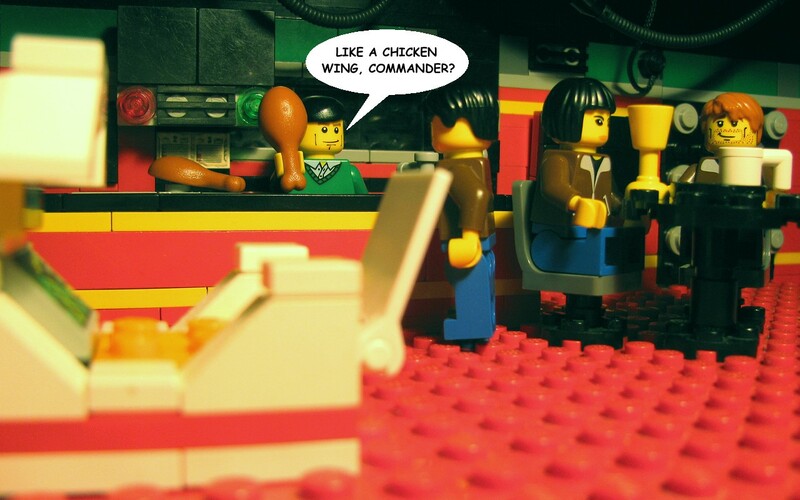 Wing Commander fans are constantly impressing us with their creativity. We love seeing what Wingnuts will come up with next. 'Michael Lochlann' recently debuted a new rock mix of the Wing Commander 1 theme oven on his soundcloud page. 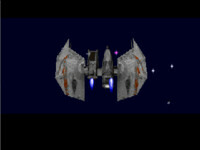 In the vein of previous Wing Commander remixes such as LittleVMills' "Epic Rock Cover" or Cerberus Music's Kilrathi Remix, this version mixes the opening theme with a metal inspired sound. The results are - at the very least - interesting, and the low key mid section in the song is a nice contrast. You can check it out below. This is a work in progress though so check back in his thread over at ocremix.org for more details on the track and to leave feedback. This a straightforward rock mix of the Wing Commander title theme, a request from a friend. Mix name is "No Need For Heroes"
Done on a 7 string Ibanez tuned in standard with 7 string droptuned to A. Tyrant Tube Screamer plugin Poulin Lecto (rectifier) and Legion amp sims with Red Wirez cab sims. Drums: played on yamaha digital set and ran through Steven Slate Drums. Parallel Compression on drums bus, sent overheads to a bus with Tyrant Tube Screamer on it to liven it up and harmonics. new mix has more balls as I added a lot of crunch and power to the rhythm guitars, turned down the bass guitar a little bit, balanced the overbearing bass in the kick drum and turned the snare up. The XBox One and Playstation 4 consoles have received their first space sim, an enhanced release of Strike Suit Zero. Compared to the original PC release, the latest edition includes improved graphics, an expansion pack and extra suits and goes for around $20 depending on the region. 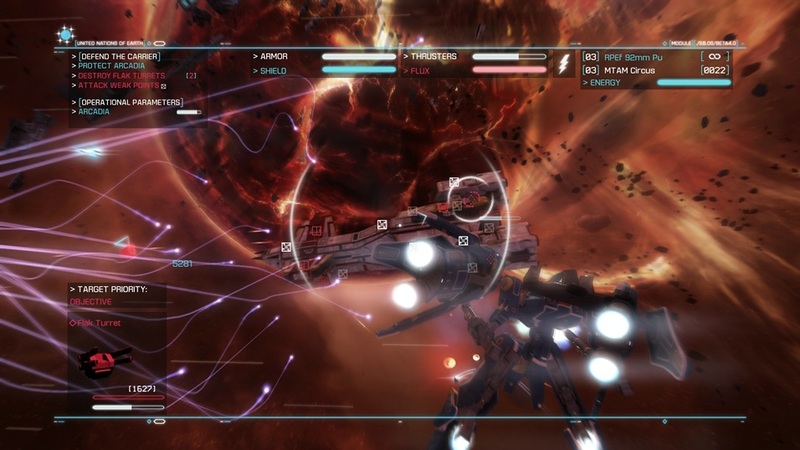 The director's cut is also the first indie game for the Xbox One. 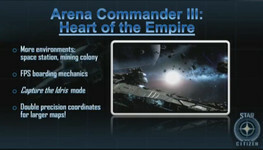 When Wing Commander Arena hit XBox Live in 2007, the maximum downloadable game size was 50 megabytes. SSZ clocks in today at more than 1.8 gigabytes - the game certainly looks pretty with all those high res textures and fancy effects! 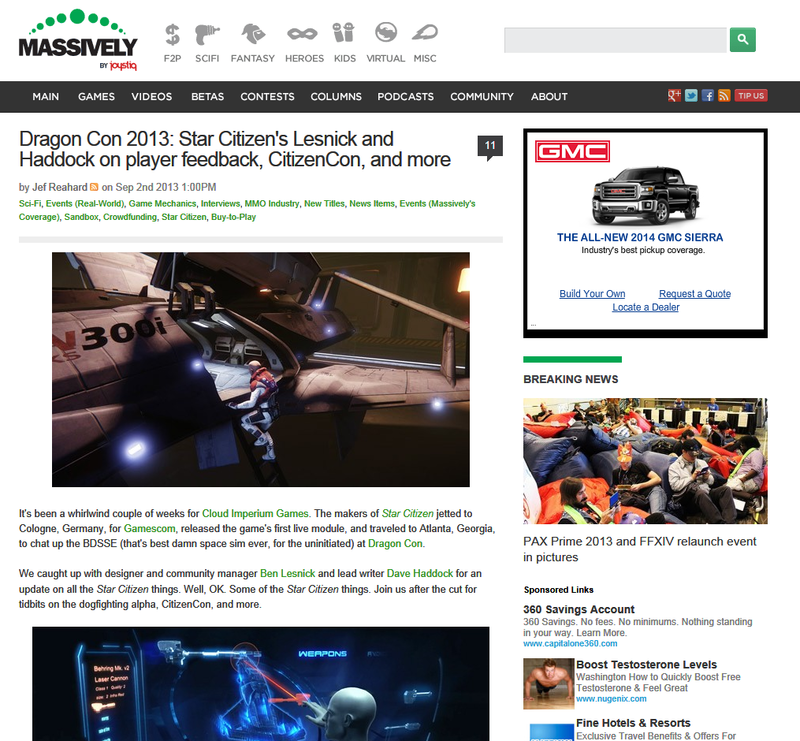 Xbox Wire: Tell us about your game. What do you want gamers to know? Reports from last week's Microsoft Build developers conference note that the company is looking into backwards compatibility for the XBox One. Such prospects still sound like a bit of a long shot, and only about half of original XBox games were compatible with the 360, but this does provide a tiny glimmer of hope for extended Arena longevity. According to Xbox partner development lead Frank Savage, Microsoft is working on a solution to get Xbox 360 games on Xbox One, but players at home may never get to experience it themselves. When asked by an audience member at Microsoft's Build developer conference whether the company had plans for backwards compatibility on Xbox One, Savage responded in the affirmative but with a serious caveat. Getting software made for drastically different hardware to run on another machine is a tricky proposition. "There are [plans], but we're not done thinking them through yet, unfortunately," said Savage, as reported by Kotaku Australia. "It turns out to be hard to emulate the PowerPC stuff on the X86 stuff. So there's nothing to announce, but I would love to see it myself." 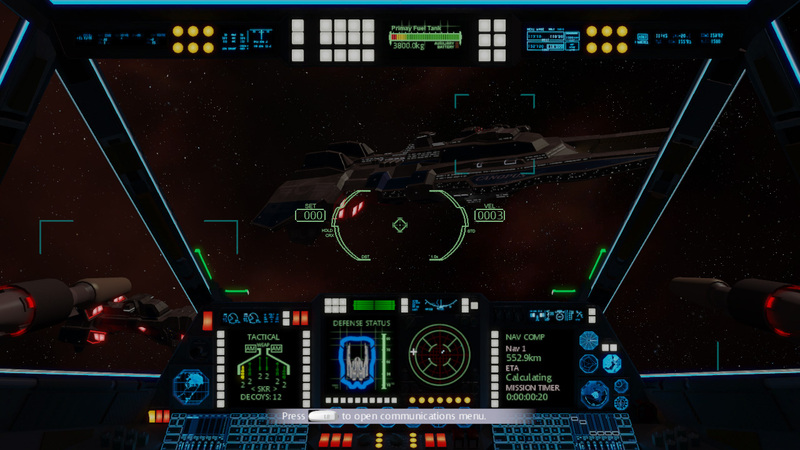 Massively has published an article that recaps various attempts to create a massively multiplayer Wing Commander game. As the piece largely pulls from the CIC's archives, there's not really any new information, but it's good to see the material collected and republished for more to see. That's why we put it out there! The twisted history of online WC games dates back all the way to the '90s, and there were multiple attempts to make it happen. 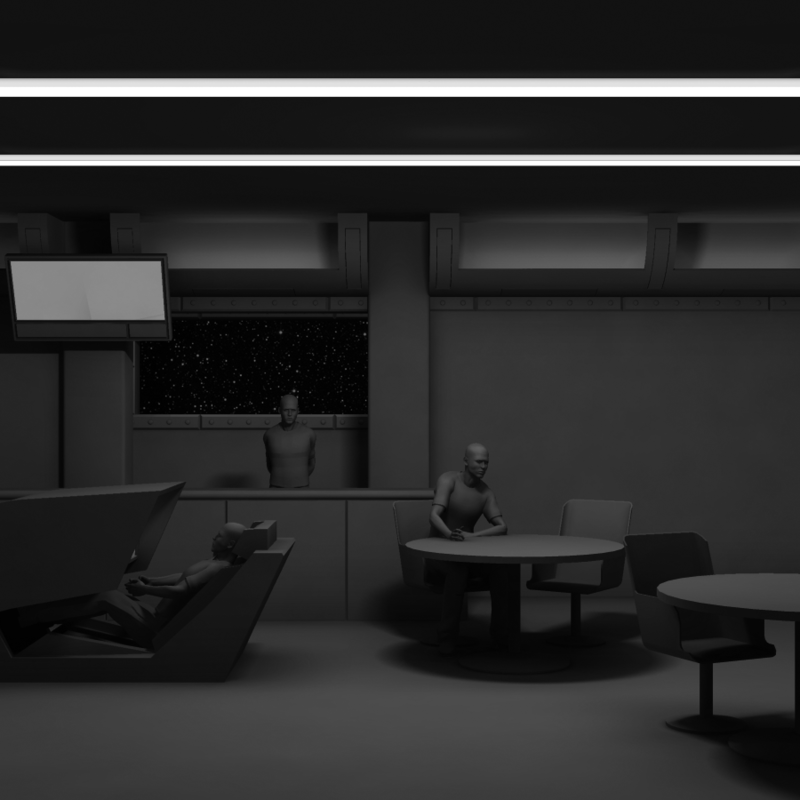 Since some of the work was just conceptual, there are some fuzzy lines between certain projects. 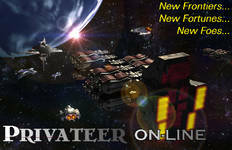 Privateer Online and Wing Commander Online both were on the drawing board around the time that Secret Ops was made, but they didn't make it very far. Unfortunately, these edged out Privateer 3, however. An entire second attempt at POL began in earnest in 2000-2001, but it was ultimately canceled in favor of Earth and Beyond. And the rest is history. It's almost breathtaking to think about what might have been. With Ultima Online's popularity giving Origin's namebrand a boost, the team had permission to build two MMOs out of its space sim franchise. 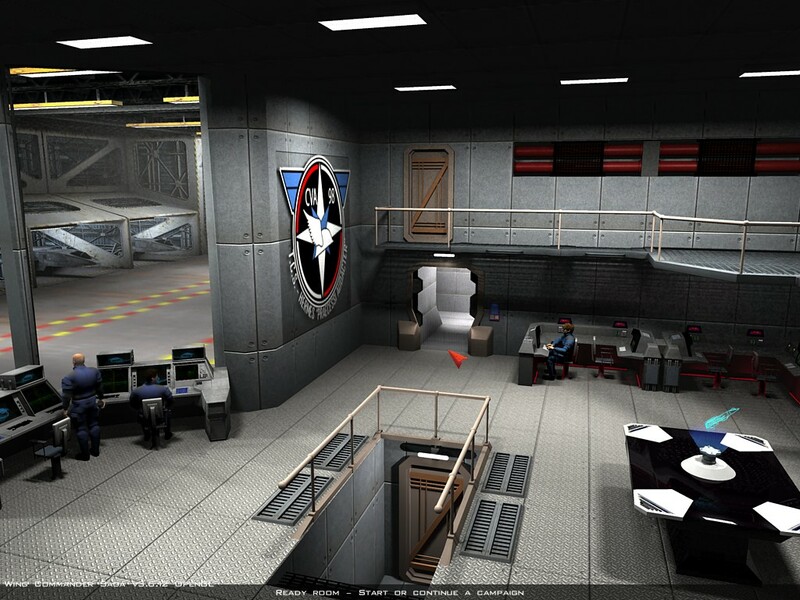 Work began on Wing Commander Online and Privateer Online (Privateer being a freeform spinoff of Wing Commander but set in the same universe). 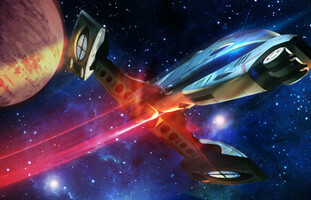 Players who caught wind of these projects couldn't stop salivating at the thought of piloting their own fighter or freighter through the galaxy and making a name for themselves. 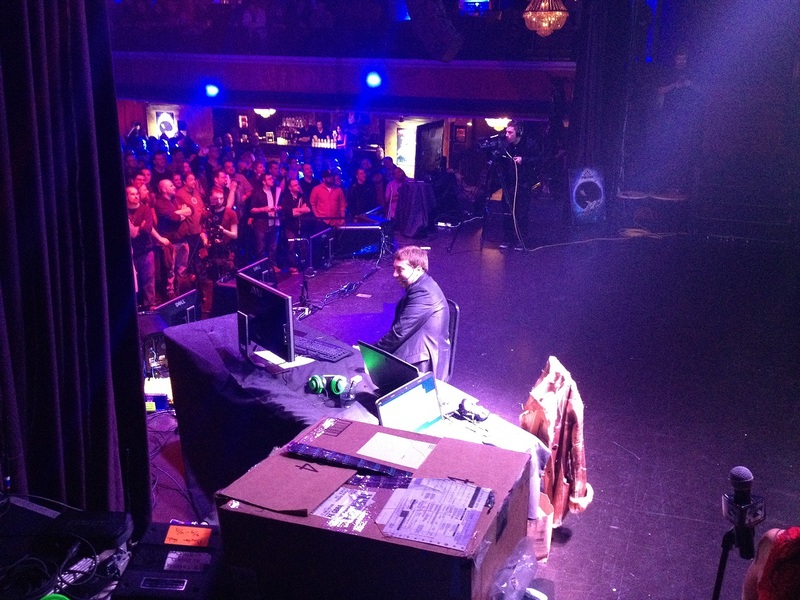 Even the lack of Chris Roberts (who left the studio in 1996) couldn't dampen spirits. 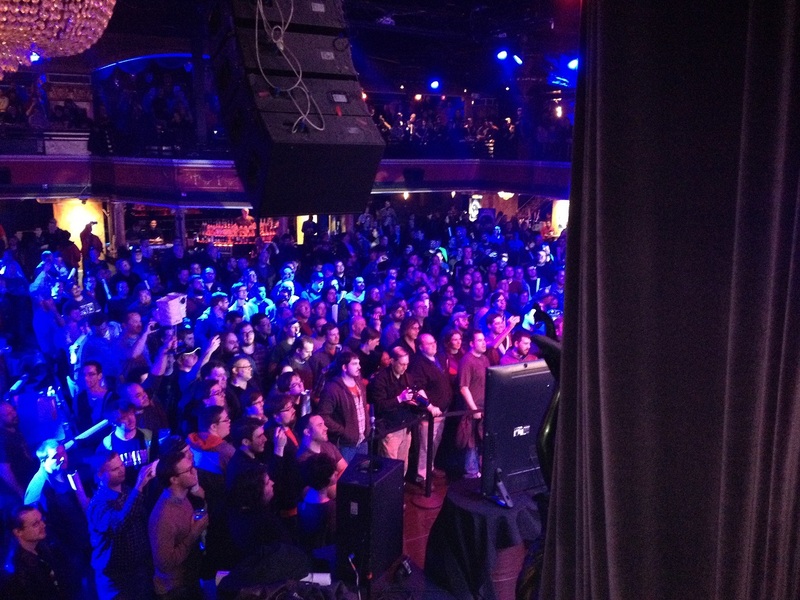 It turns out that EA's eyes were bigger than its stomach as far as MMOs were concerned. It's as if the publisher made a bold decision to stride into online space, then had a severe moment of doubt and buyer's remorse. Quick as a cat, EA yanked the plug on several projects in 2000, including Ultima Worlds Online, Ultima X Odyssey, and Privateer Online. 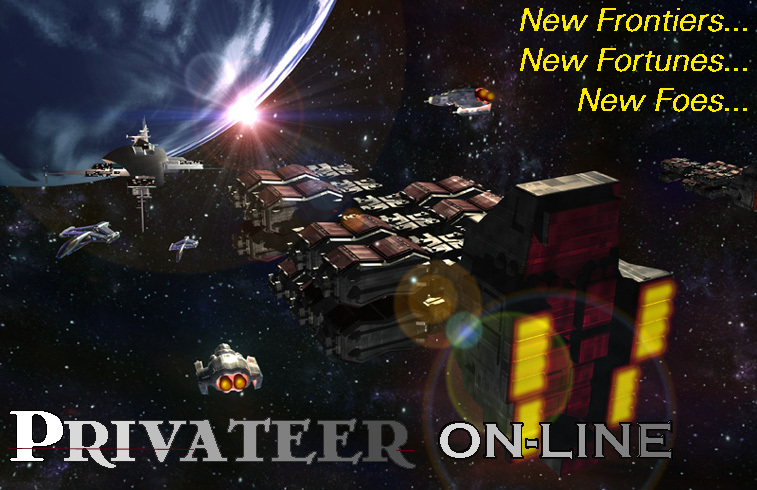 Privateer Online was deemed too similar to another title that EA was making, so Earth and Beyond) lived (for a time) while its brother-in-arms was jettisoned through the corporate airlock. What's Next for Wing Commander? 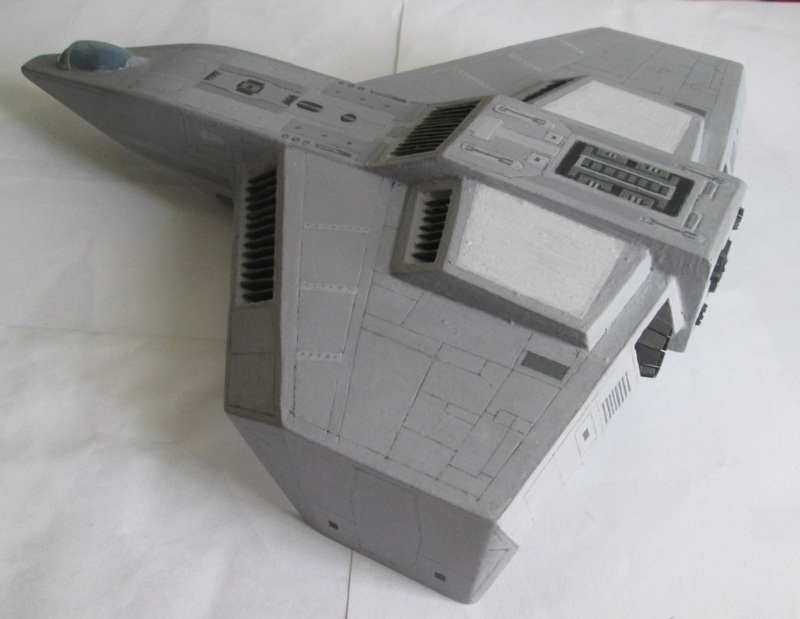 Over the weekend, Chris reflected a bit on recent events and kicked off an interesting discussion on the future of the Wing Commander franchise. The last 10 to 15 years haven't been particularly exciting for space sim players, but the incredibly successful Star Citizen funding campaign has shown that genre still has a lot of life left in it. What shape and direction do you think the next Wing Commander release will take? Share your thoughts and hopes here. It's been a while since we've had a discussion on this topic. There was lots of speculation when Star Citizen was announced, but now we've got 18 months of that behind us. We got the WC Blu-ray recently, Chris Roberts gets the rights back to the film soon, and George Oldziey's music album is coming, but those are a different topic. We will undoubtedly continue to be surprised by more awesome things like these in the future. The landscape has evolved quite a bit over just the last few years. 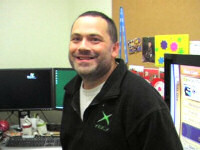 PC space sims have made a bit of a comeback, but there are also the new generation consoles. Even iPads and other mobile devices are so powerful now, and can stream to TVs, that every platform is graphically amazing. Ultima made a comeback on the iPad with a free to play game, which combines two hot markets. EA's Origin recently stopped selling discs, and the new consoles can also deliver everything digitally, so how much life do boxed copies of games have? Even Arena, which is now seven years old, was only available digitally. When the next game shows up, how do you think it'll arrive? And where do you think it'll take place? Is it a foregone conclusion that the Kilrathi are the go-to Wing Commander enemies? Does anyone think the Nephilim will actually return? Something entirely different? 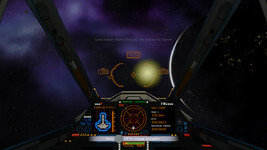 Will it be a first person space sim? 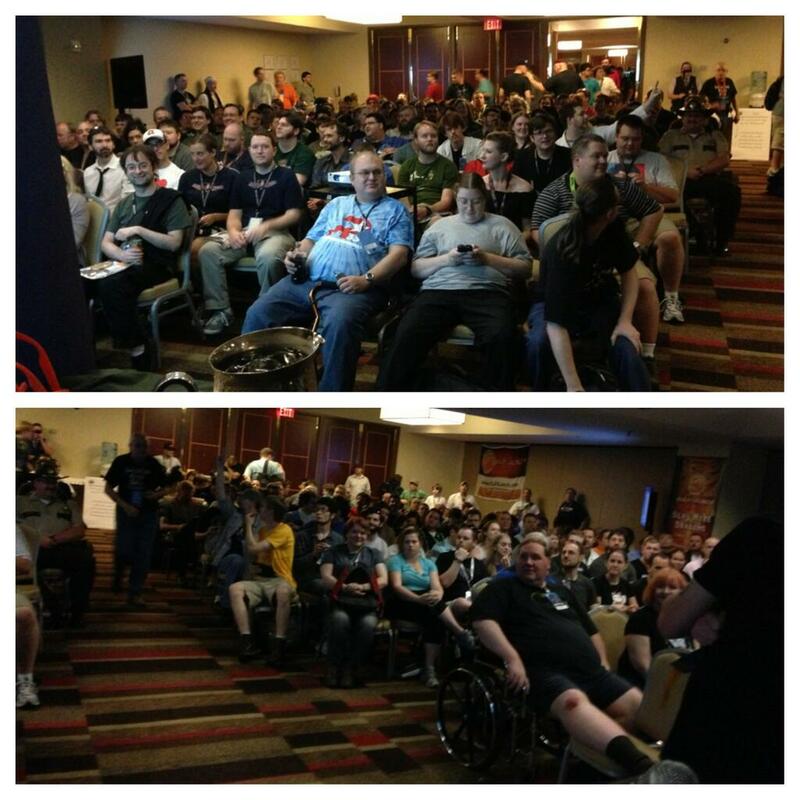 This past Thursday Cloud Imperium Games descended on Boston for PAX East and a very special livestream event. 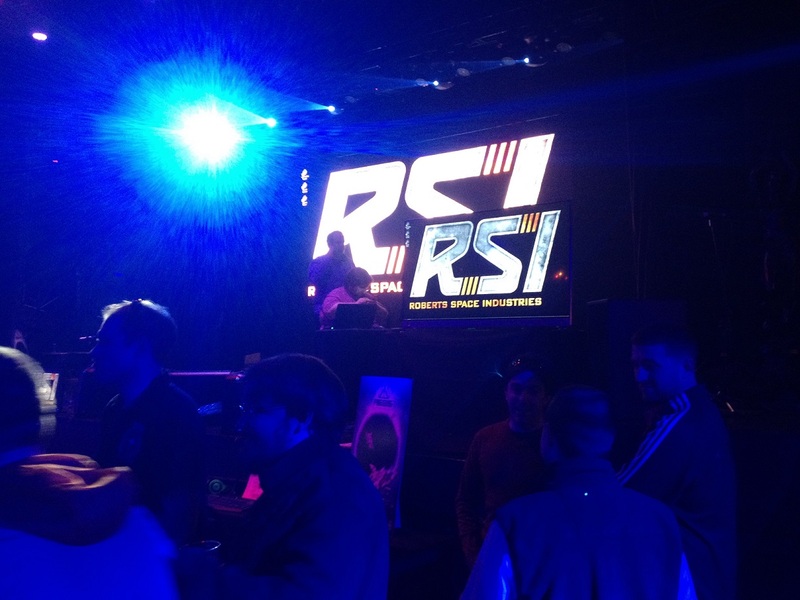 Fifteen hundred fans were able to obtain entry to the event, including yours truly, and we were treated to a night of the latest from Star Citizen. After crushing a few last minute bugs, Chris Roberts went into a recap of the game's development accompanied by a short film showing some of the trials and tribulations the team faced in the days before PAX. 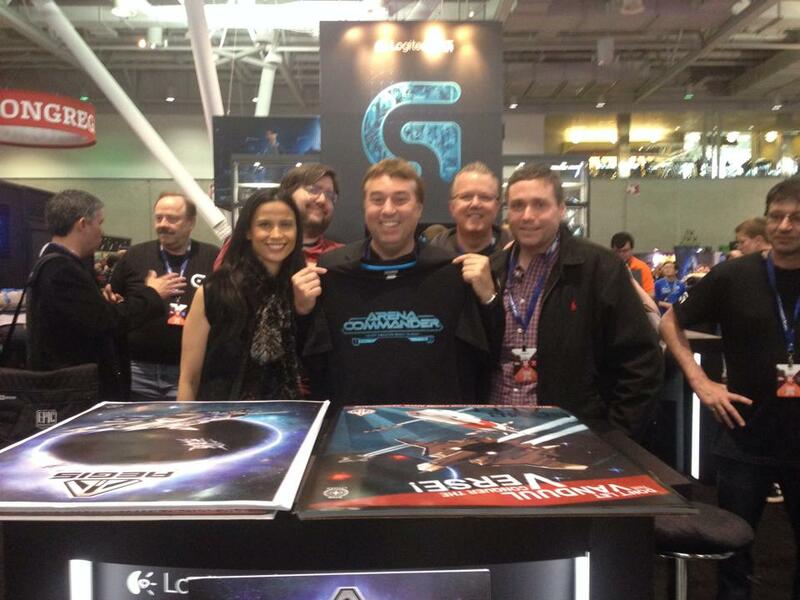 After the film, Chris Roberts jumped into the game and showed off entering your ship and space. When preparing for launch the player-character flips their helmet, a sequence that sent the crowd wild. The hangar doors opened to show the world outside. To call it gorgeous is an understatement. 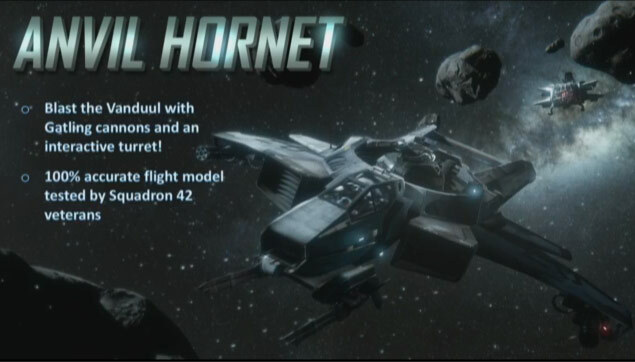 The flight mechanics were on full display: newtonian physics, destroyable asteroids, and some combat made appearances. 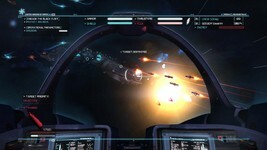 Following the gameplay demonstration, Chris Roberts unveiled more details about the dog fighting module. 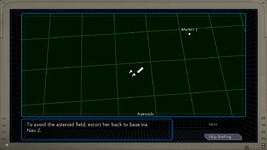 Instead of being a simple testing setup, the module is part of the in-game fiction. 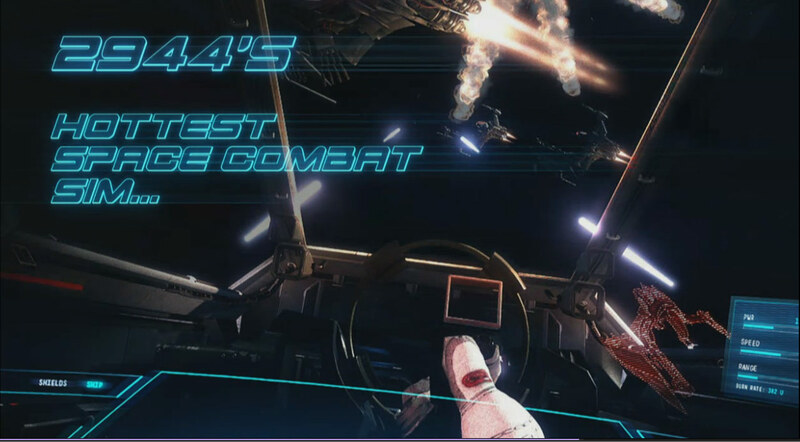 Described as “2944’s Hottest Space Combat Sim...” and brought to you by Original Systems, “Arena Commander” is the in-game simulator that can be run in the hangar. 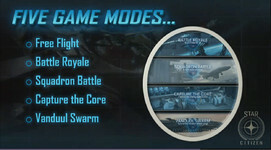 Arena Commander allows players to jump into the sim, connect with other players and battle in five different game modes: Free Flight, Battle Royale, Squadron Battle, Capture the Core, and Vanduul Swarm. Players will be able face off against other players and AI pilots. The sim will feature leaderboards tracking multiple stats as well as daily, weekly, monthly and all-time rankings. These features are just the first wave in the Arena Commander launch. 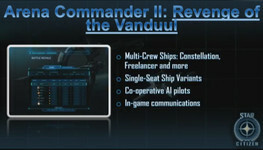 The second release, Arena Commander II: Revenge of the Vanduul, will add multi-crew ships, variants of the single-seat ships, co-operative AI pilots and in-game communications. 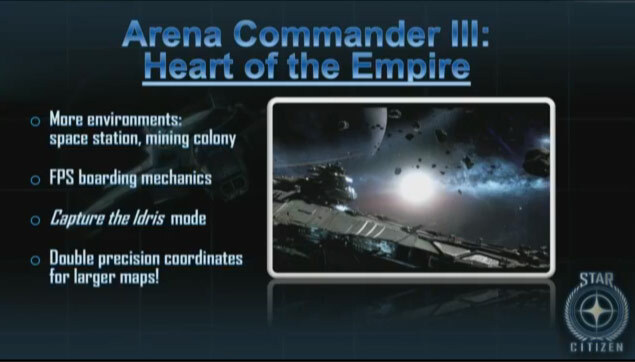 The third release, Arena Commander III: Heart of the Empire will add more environments, FPS boarding mechanics, Capture the Idris mode, and double-precision coordinates to handle the massive arenas that players will battle in. 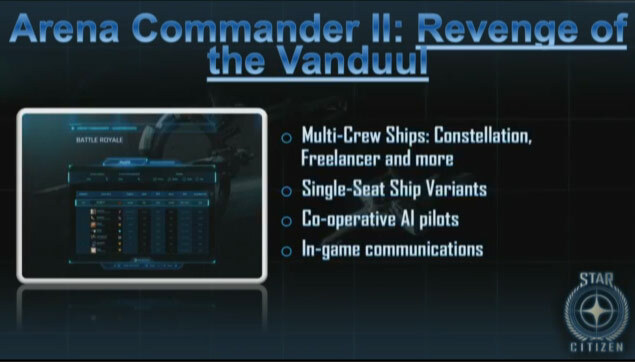 Beyond Arena Commander, the team will focus on fleshing out the rest of Star Citizen and continuing the implementation of new features. 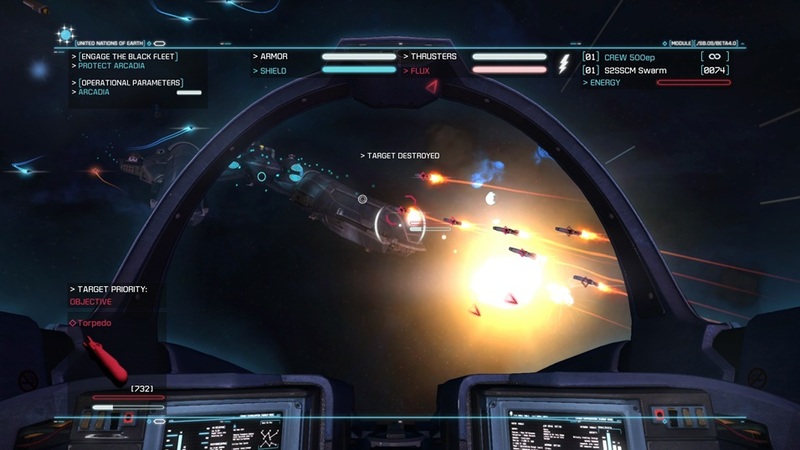 Chris Roberts also mentioned Squadron 42 as “if we did a next-gen Wing Commander, Squadron 42 would be that.” Wing Commander fans should certainly be excited by that prospect. Be sure to check out the entire presentation below! 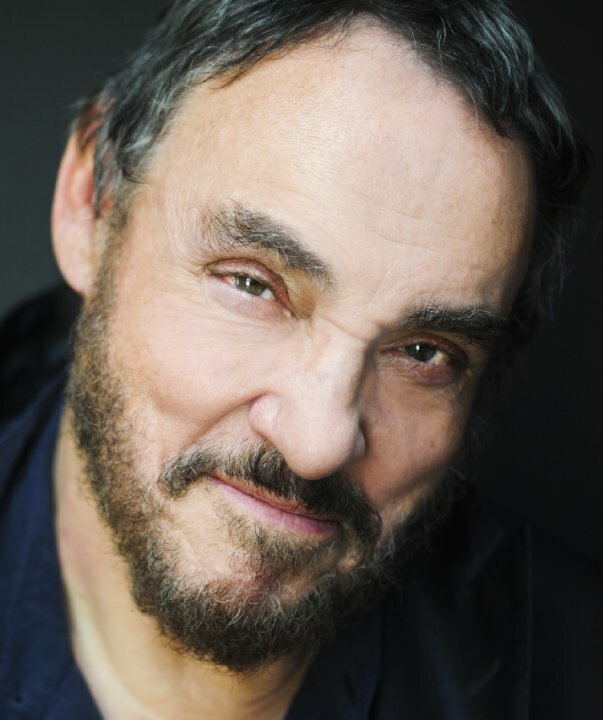 Veteran actor John Rhys-Davies will be appearing at the Cincinnati Comic Expo on September 19 - 21. 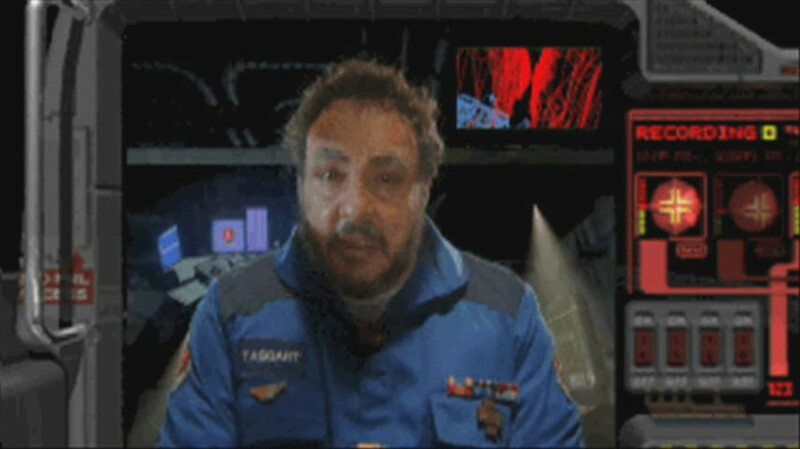 While he is most famous for playing James "Paladin" Taggart in Wing Commander III and IV, you may have also seen him in Digital Anvil's Freelancer, the Indiana Jones series or the Lord of the Rings. Rhys-Davis will be appearing alongside actors from other major sci-fi franchises like Firefly, Doctor Who and Star Wars. 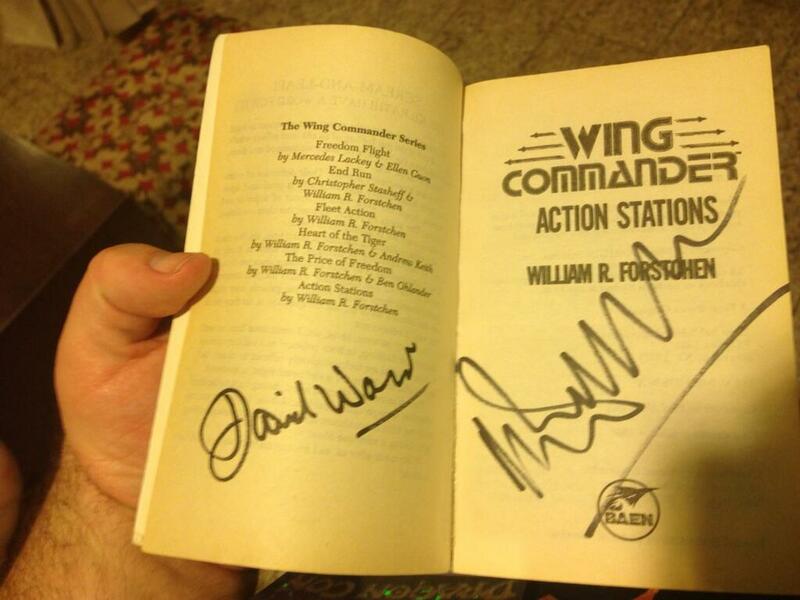 Media guests will be signing autographs, so be sure to send in a picture of your signed Wing Commander item! 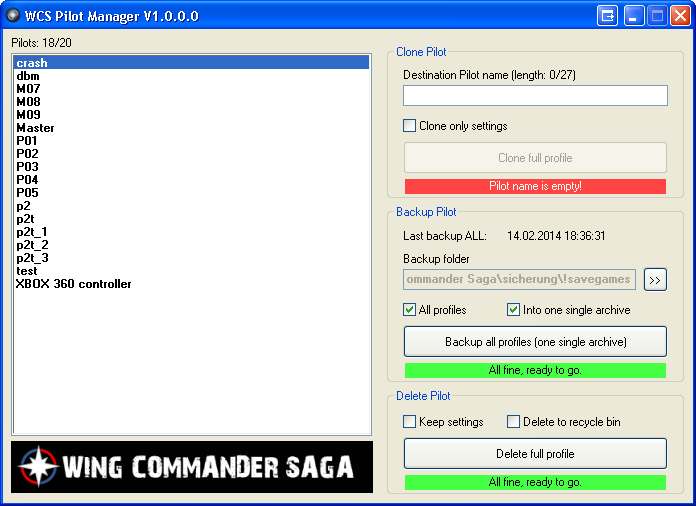 Luke has posted an update to his Pilot Manager application for WC Saga and Saga Plus. 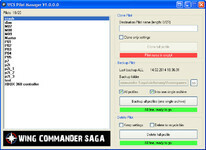 The program allows players to back up their pilot or create multiple characters for different play-throughs. It's great for experimenting with the game. Grab version 1.1 here or find more useful tools at the CIC Forums. Important fix for the Clone feature: produces wrong campaign filenames if the campaign name contains the pilot name (rare cases i think). Little fix for the Backup feature: after selecting the backup folder, the last-backup-date was not updated. Little fix for the GUI: the buttons on some requesters haven't consequently english labels. 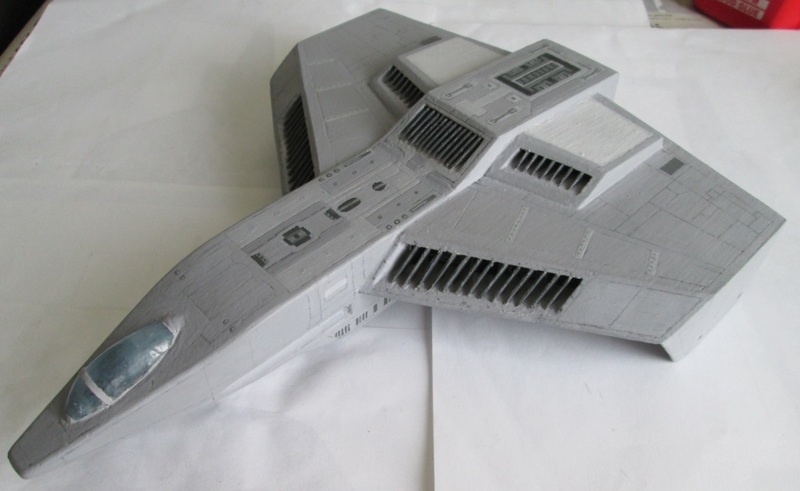 Whiplash has finished his Hellcat model's surface paint. 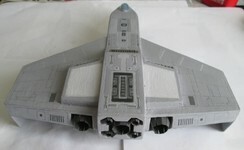 All of the various panel lines, rivet heads and macro detail looks great. There are still a small amount of personalization that will come last, but this is the final look of the primary hull. Just one omission stands out - the guns! Whiplash will show those off next time. A few more hours of labour, and voila! The surface detail painting is done. 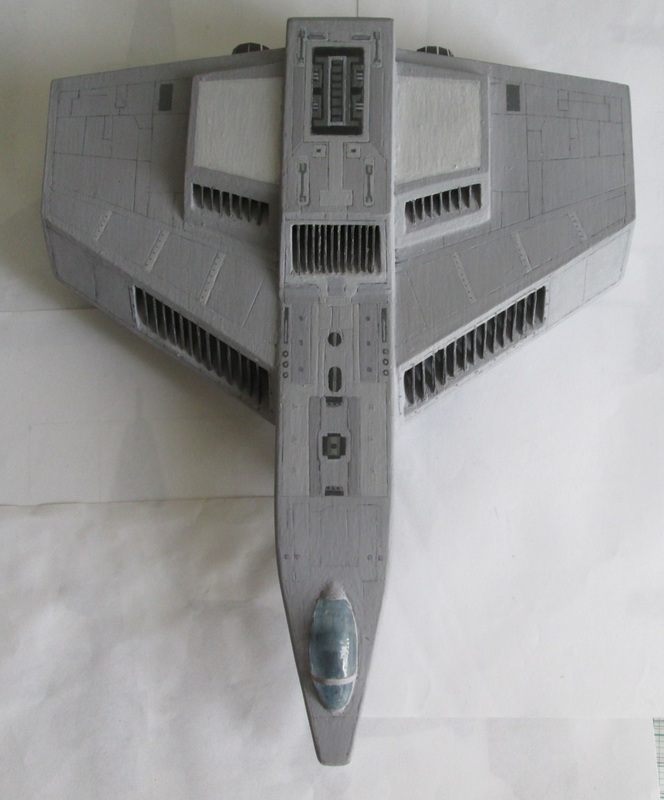 Note that the decals such as warning signs and squadron markings are not there yet; those are really fun to paint so I am leaving them for last. Before I can do that, I need to craft the guns, and my next update will show you more on how that was done. 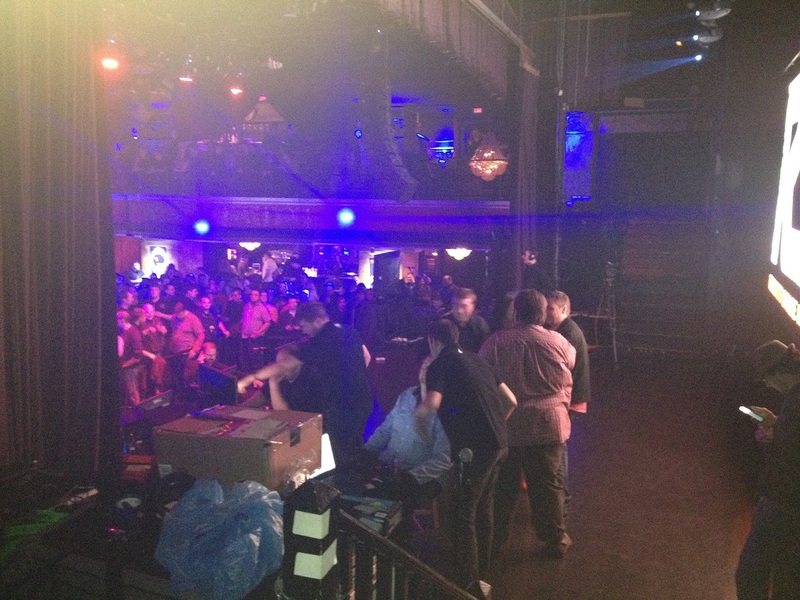 For now, enjoy the pics! 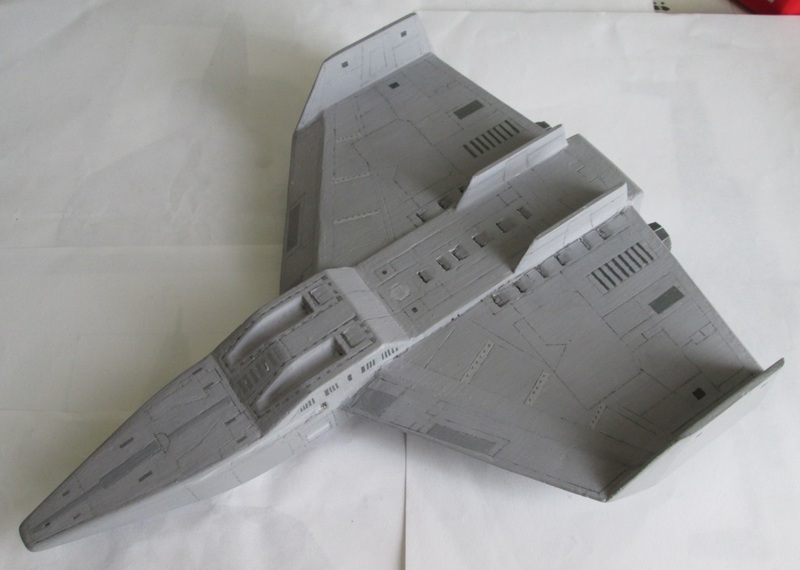 I've taken quite a few this time so you can appreciate the ship from more angles. 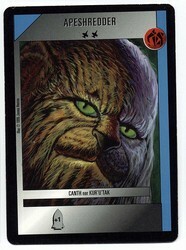 Klavs was able to flex his creative muscles with his latest design, an early Confed Wildcat. Owing to the real life historical parallels between the Grumman F4F Wildcat and F6F Hellcat, there's been much fan speculation that the Wildcat interceptor introduced in Wing Commander Action Stations was the predecessor to the workhorse Hellcat V. Klavs has played up this connection with some easter eggs embedded in this design - this one apparently belonged to Wing Commander Academy's war hero-turned-rogue Damon Karnes. 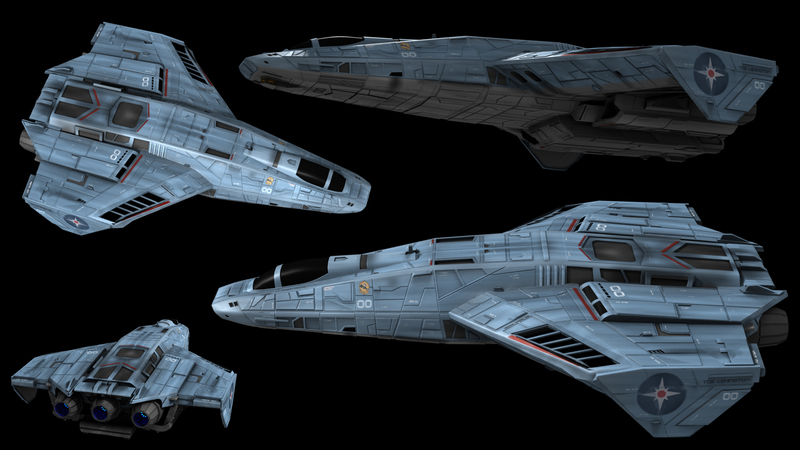 It's pretty neat how this design looks like the tried and true Hellcat from afar, but up close, it almost has more in common with Klavs' Scimitar! Maybe going a LITTLE over zealous with the WW2 analogies, but I think I like it anyway! Wing Commander editing god HCl has provided a status update on his project to import models into WC2. After recently figuring out how to customize movie sequences, the focus lately has been on the game engine and how to trigger cutscenes. A test Dralthi should be released soon. In the mean time, you can test out a Hellcat compatible with WC Academy here. Anyway, I think the WC2 converter is relatively close to a first release. I'm going for a very simple load-file-then-export-ship mechanism at first, then incrementally add functionality to it. Each milestone will include a sample source files for conversion. (note: the WC2 converter works perfectly fine offline... I can also make a zip file for offline use). Here's another look at the gorgeous cockpit that Howard Day mocked up for the project! 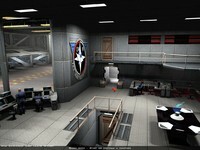 Let's Play Special Operations 2! centaurianmudpig is driving towards the conclusion of the Wing Commander 2 era with his play through of Special Operations 2. SO2 follows the exploits of Paladin and Blair's elite team as they contend with the Mandarins, Morningstars and Wild Eagles Squadron. If you missed the expansion originally or just haven't played it in a while, be sure to at least check out episode one below. 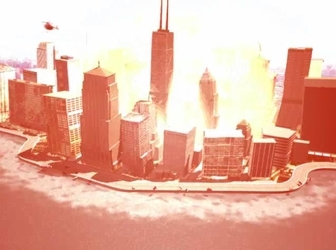 It's a brief recap of the game's intro and first mission. 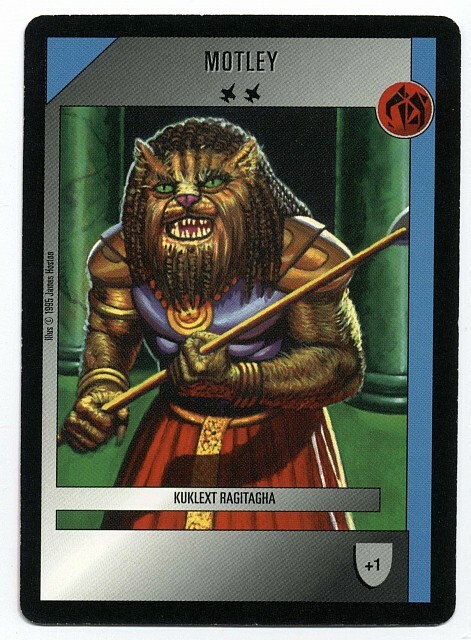 The original expansions were are also available free for Kilrathi Saga and GOG edition owners. We've come a long, long way from Waterloo class cruisers and Tolwyn voiced by Marten Davies, but the game hasn't lost a single bit of charm! If this gets you going on a nostalgic kick, be sure to check out the rest of mudpig's play throughs below. 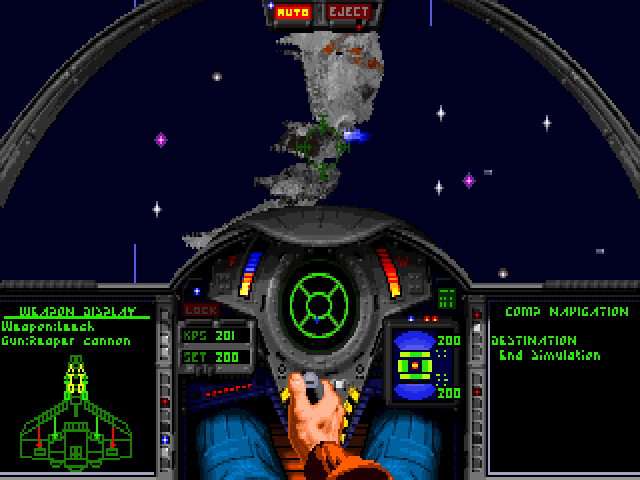 While we're on the subject of second expansion packs to classic Wing Commander games, today is also the release anniversary of The Secret Missions 2: Crusade, which originally shipped on April 6, 1991. Happy 23rd Birthday SM2! Ben Lesnick is Community Manager and Designer on Star Citizen, Chris Roberts' epic return to space sims! 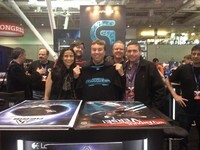 Ben has been involved with Star Citizen since the start of the project. 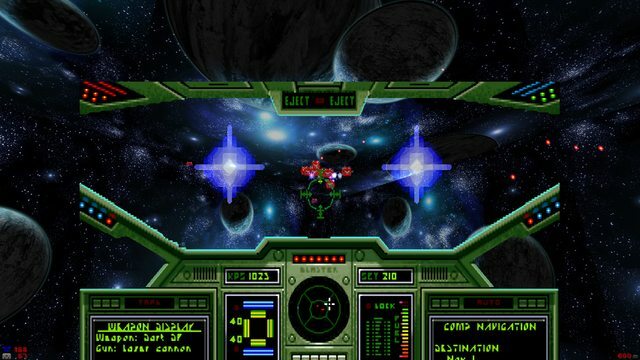 He's worked on several titles in the Wing Commander universe, including creating all of the fiction for Electronic Arts' Wing Commander Arena. 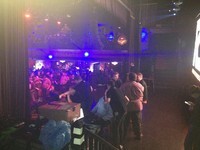 Other notable people on the guest list include Origin's Richard Garriott and Starr Long, Battlestar Galactica's Tricia Helfer and Michael Hogan, and authors Larry Niven (Ringworld, Kzin) and Timothy Zahn (Star Wars). 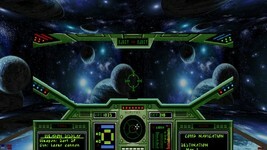 capi3101 has made good progress on multiple aspects of his Wing Commander RPG. 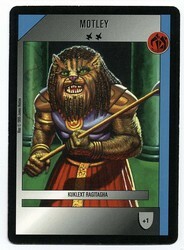 After months of research and development, his Kilrathi Lexicon section is complete. Based on linguistic clues, he's put together some very creative vocabularly, syntax rules and whole translations. 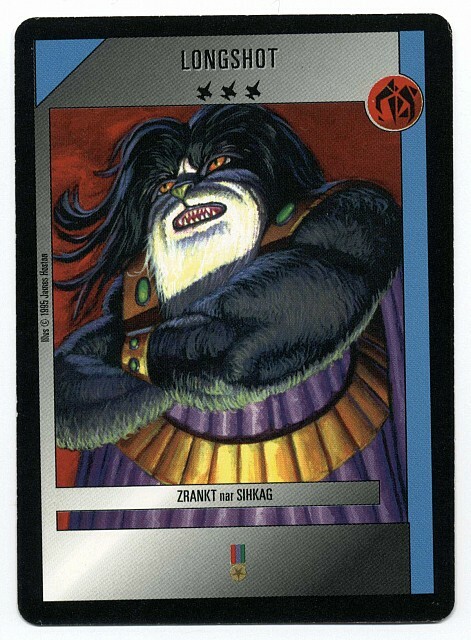 He's even offerred to take a stab at translating Wingnuts' names into Kilrathi. 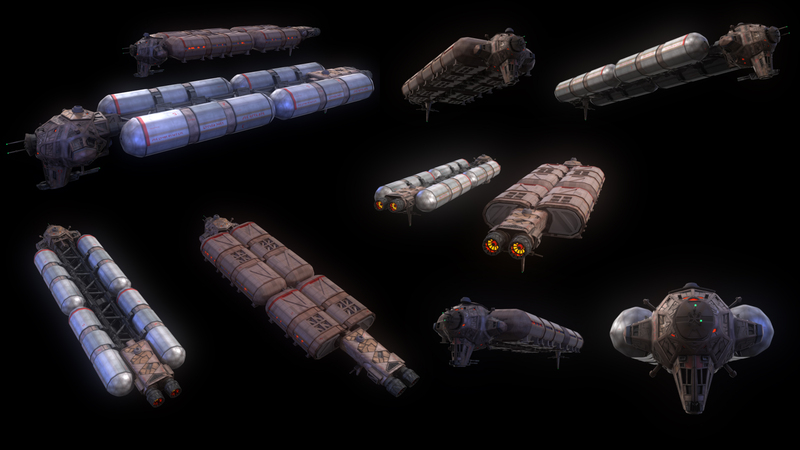 Recent work has shifted into enhancing how trade routes work and defining Epsilon Sector factions that will be used in the upcoming Elegy of Sivar expansion. 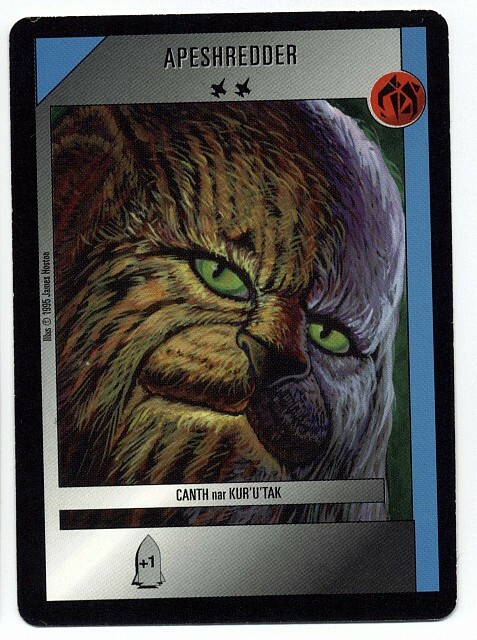 Also worth an honorable mention: Capi will be dedicating the new campaign to the memory of Aaron Allston, who helped a generation of fans feel like they were a part of the WC universe. 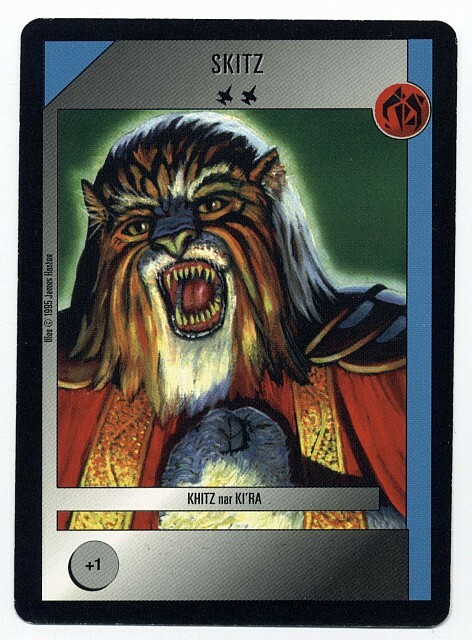 There shall come a time when one who has the Heart of a Kilrathi, but is not Kilrathi born, shall rain cleansing fire down upon us. Hu'h'asjaqesh ja'lesh k'ik'hra ja'lhra'dya kahr'Kilrathi, qu hav vujaq'k'Kilrathi, h'asakarh jigakut dukai. And then the Kn’thrak, a time of great darkness, shall embrace us. Maks jha KN'THRAK, esh'karga, h'asalibakai. Death itself shall pour forth, obscuring the stars in a veil of darkness. Gar'hra h'asnarunisjha, Gu, hafbhu du huyinhaf'kar. Theirs is the claw that tears flesh from bone. Garga'ha naj mas kucho aqyo. Theirs is the poisoned fang. 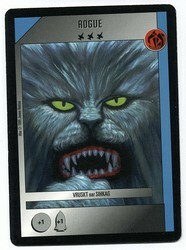 Their number shall render the universe barren and crush the breath from our Clans. 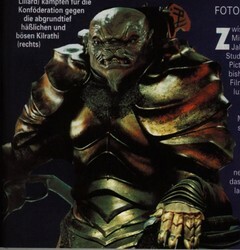 Garga'mang h'asdakut'thrak shi maks panothdaks aq ek'nari. We shall be bathed in our own blood and rotted flesh shall be our fare. Ek'h'as'ha hafahq du ek'ka maks r'cholchur h'as'ha ek'ukmaksahk. With a deafening thunder shall the dark age begin! 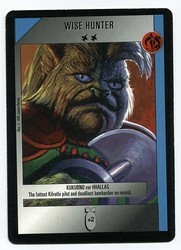 After handling Confederation logistics with a gorgeous Drayman, Klavs has turned to the Kilrathi supply chain. 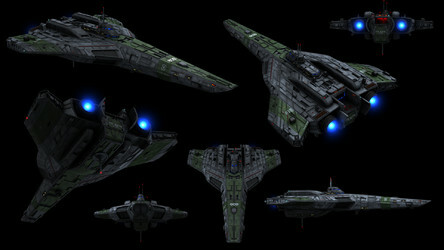 The Dorkir is rendered below in both tanker and transport variants. It's really interesting to see the design similarities between this ship and the Drayman. Although we later go on to see freighters in all sorts of shapes and sizes, WC1's workhorse 'sports both have a "head" module with a drooping bow and modular containers aft. It might seem odd to spend so much time focusing on transports, but as the Kilrathi recollection below reminds us, logistics win wars! There are many great songs un-written and un-sung regarding the lowly wagon driver, plowshare, shipwright, supply officer and transport captain. Only the elites fought the space war, the hundreds of thousands of nobles, barons, princes, second royal cousins twice removed- all too frequently scorned those in transport and supply. Theirs was the world of power, battles, and glory. Ours was the world of service. 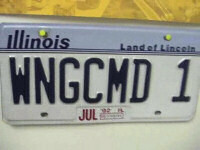 Humility and humiliation combined. 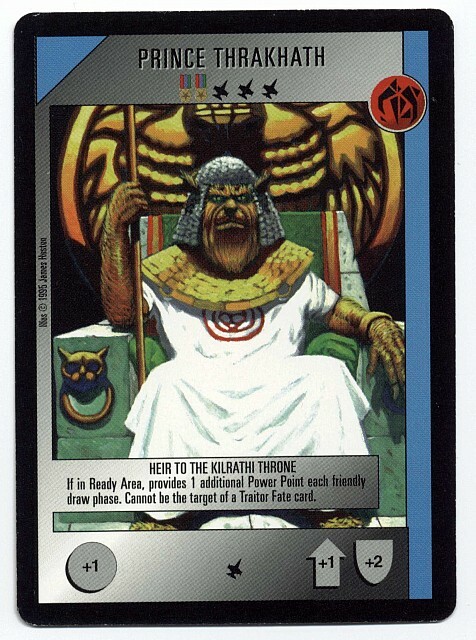 Many warriors relegated to logistics were so tempted by Zu'kara that the priestesses issued an edict that those in supply were forbidden to practice the right. 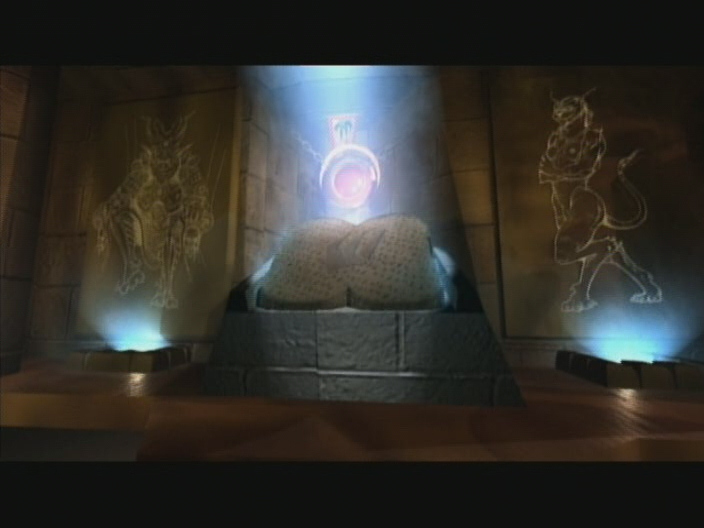 They worked hard to convince us that we were serving Sivar in our own way, but we knew the words were hollow. If Sivar was truly the way, why would he deny so many of his willing faithful the chance to do as he required? Only the leaders who had risen from dust and obscurity on nothing but merit- only they respected us and used us correctly. But they were always too few. The pampered fools who perpetuated the war to stay in power knew nothing about actually winning them. And so the war was not won. *Formerly Rahjtei'itlq'ffrhl'lsk Nar Poghath, Transport Division. 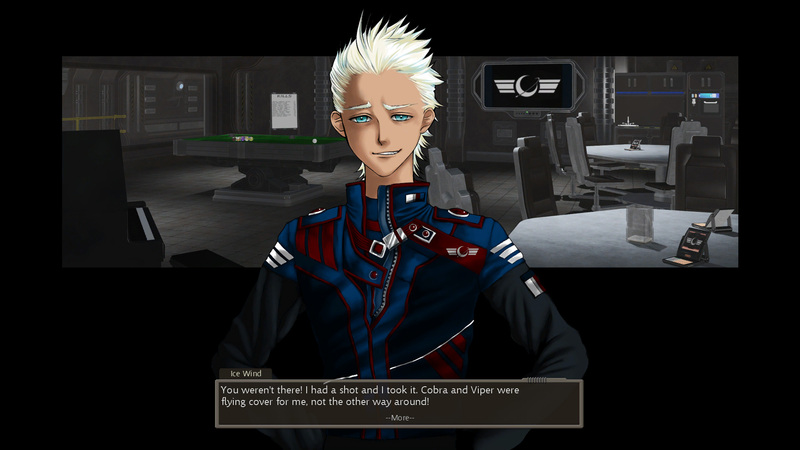 The long-awaited fifth chapter of Wing Commander: A Defiant Few has been released! 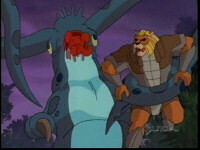 It continues the epic Confed fight for survival against the insectoid hordes. The action starts immediately with our heroes fully engaged in an exciting battle full of intense dog fighting, authentic Wing Commander sound effects and very creepy Nephilim taunts. This episode took quite a while to put together, and it's easy to see why after listening. It clocks in at nearly 17 minutes long and includes a ton of different voice actors. It's fun to just jump in below (or grab the MP3), but you can also catch up on previous episodes to get all the back story up to this point. The Guinterin Combine travel company is preparing to launch three brand new luxury liners complete with shuttle bay, casino and spa. The Twilight Purchase, The Blue Horizon and Ana Maria Alberghetti have room for over 6,000 passengers and are set to cruise the Cygnus and Luyten systems. Companies wanting to charter one of these luxury vessels for a corporate retreat can do so for a stunning 4.2 million per day. While photographs of the interior are not yet available, this rendering gives us a good idea of the kind opulence in store for those fortunate enough to afford a cabin. There's sure to be a hit amongst our list of likely contenders. We asked our team of Earth defense experts which cities were looking the most likely to be craters if the Kilrathi pulled up to downtown Earth and here's what they told us. Chicago Solves crime and the misery of the Cubs in one strike. Pittsburgh Philadelphia gets most of the attention anyways. Boston Paahhk this waahhhead in yaahh yaahhd! Miami South Beach will be glowing for years! Quebec This must be an accident. The Canadians are far too nice for this. Amsterdam There will be no drug tourism with the Kilrathi. Stockholm One too many Ikea assemblies and everyone snaps. Constantinople Been a long time gone, Constantinople. Now it's Turkish delight on a moonlit night. 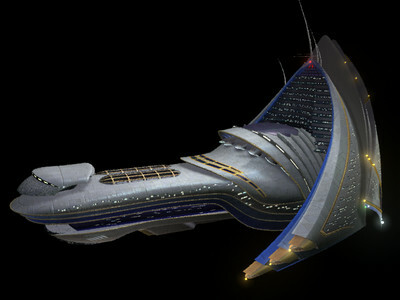 The Blackmane starbase weighs an incredible 650,000 tonnes and is over 2,500 meters long! 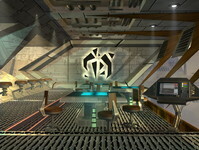 This Theta-class supply base makes for a "rocking" destination -- If you can find it! 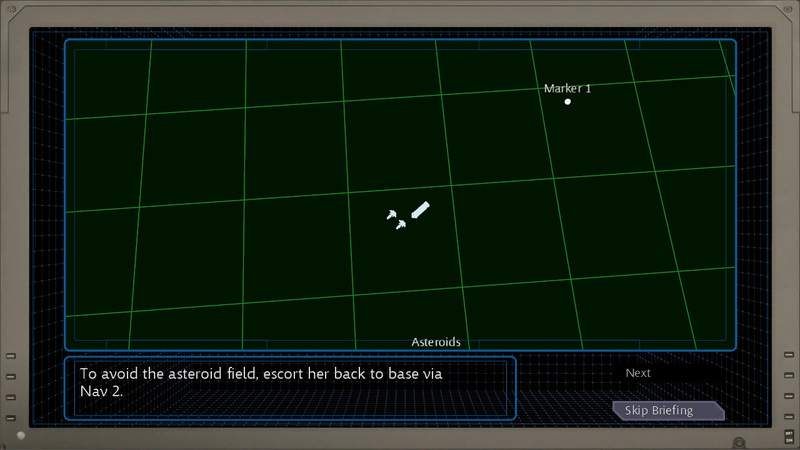 It's located somewhere in the Kilrah System. The Ella Superbase is so massive, it can support an entire task group. It even has its own fighter contingent! 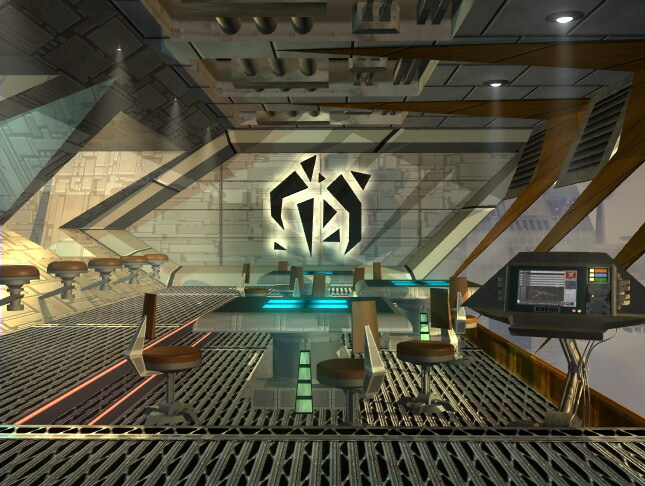 Halsey-class stations like Perry Station serve as the military center of entire sectors! Canteens across the fleet have been getting pilots hammered for decades, but few people realize that many bartenders offer a second, secret menu with drinks that are regularly requested but rarely publicized. We've compiled a list of the most exclusive (and gut wrenching) spirits that are out there. They won't always be available but they're worth asking for the next time you want to black out. And finally, the Rostov Hairball. Down the hatch! 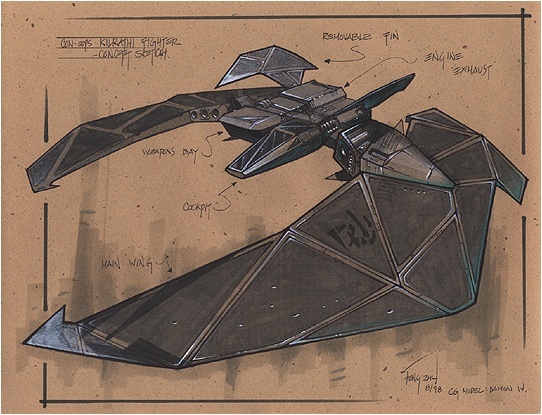 The art of creating ship concepts has turned into an obsession for many people over the years, but new concept images showing the rumored upgraded "Exeter" design look so good they could have come from Joan's Fighting Spacecraft itself. Pulled out of thin air by Klavs, using nothing more than Photoshop and Adobe Illustrator, these drawings give us a glimpse of what the next iteration of Confed's primary "battleship" might look like, if and when it materializes. 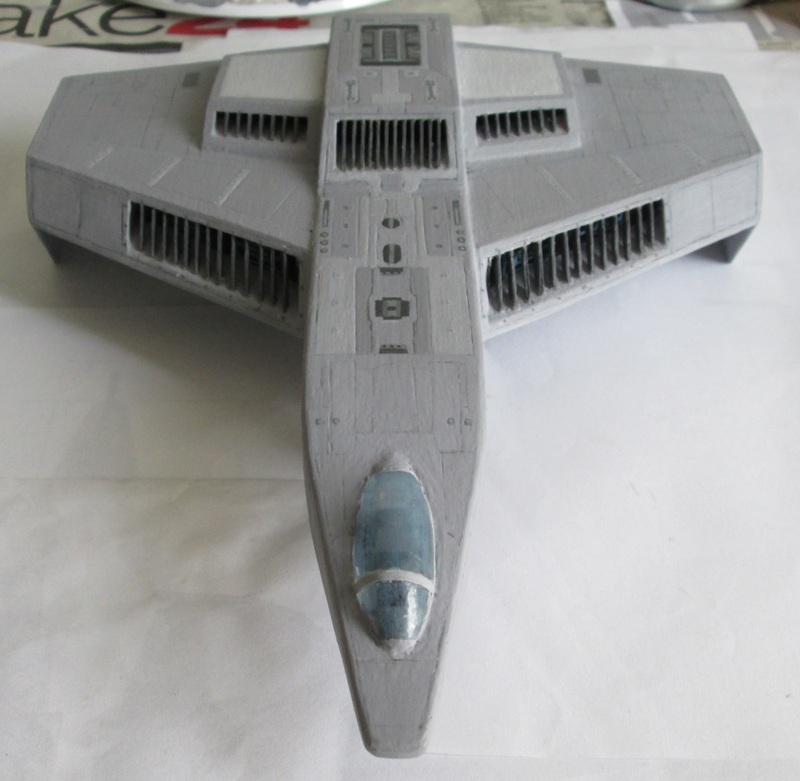 Meanwhile, this entirely made-up design is very sleek and the HUGE engines make it look like she'll be much faster than the current generation Exeter! 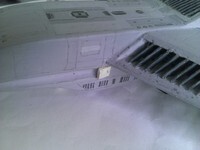 We also like the canted nose and recessed rear hangar bay. In a word: Gorgeous! Tomorrow: Three implausible Rapier concepts that will make the Kilrathi tremble in fear! 11 Incredible Things You Won't Believe Thrakhath Said!! The unwashed look was very popular in 2673. 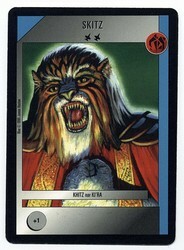 Sometimes Kilrathi can't bear to go gray either. This is called 'matted carpet' style. 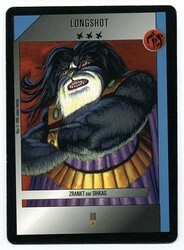 Some warriors prefer free flowing hair. 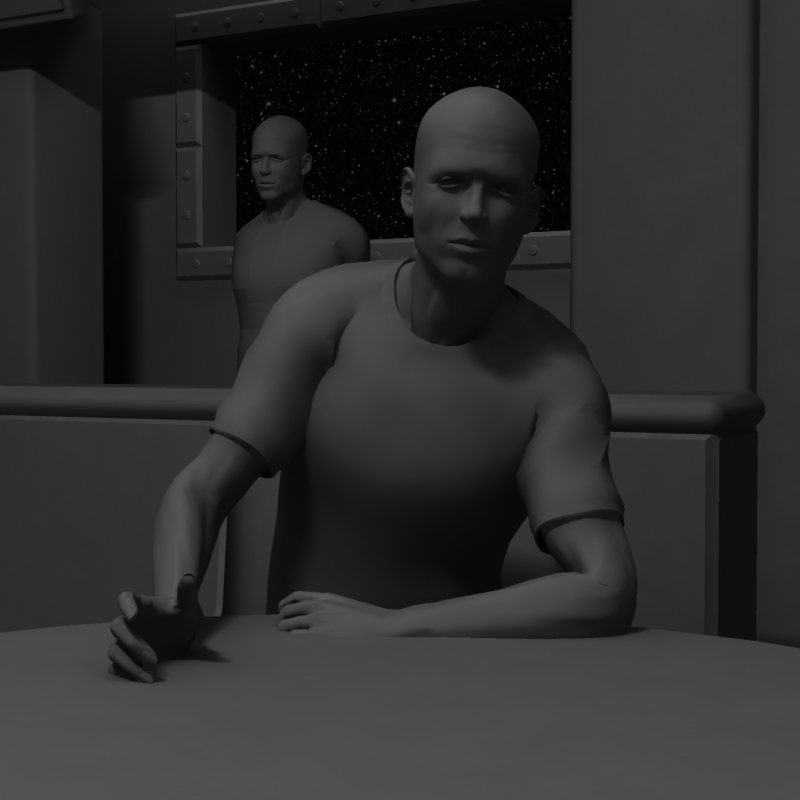 The bald look was a fad in the 2650s. What the heck is that thing on his head, anyway? Kukubno bar Hhallas models the 'Akkbar'.